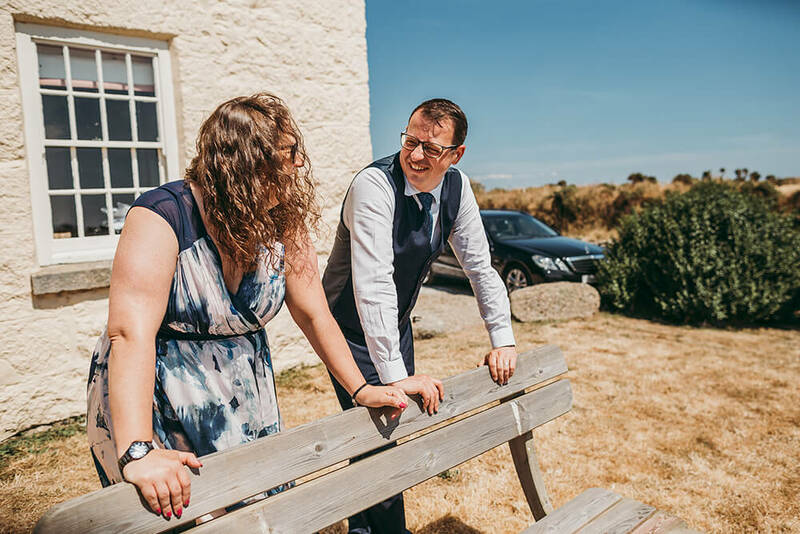 At the end of last month I had the pleasure of photographing Georgina and Tom’s elegant garden wedding in Porthgwarra, which is a small coastal village in the civil parish of St Levan and situated between Porthcurno and Lands End in Cornwall. 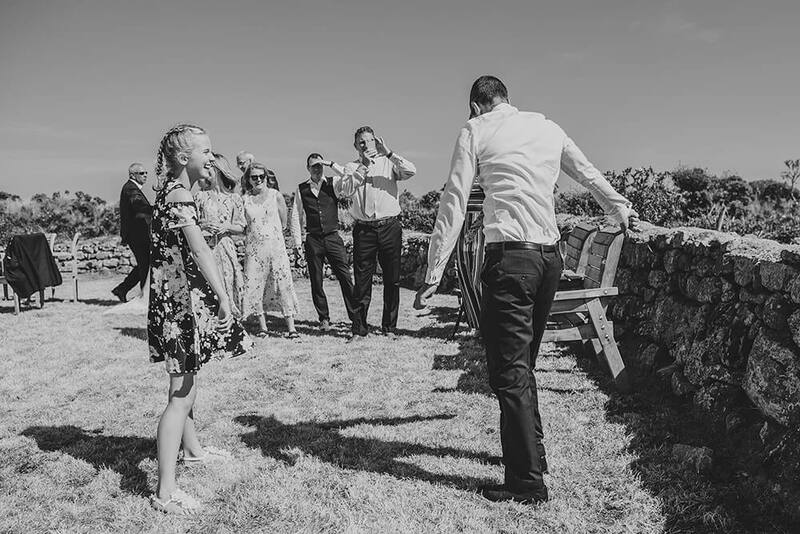 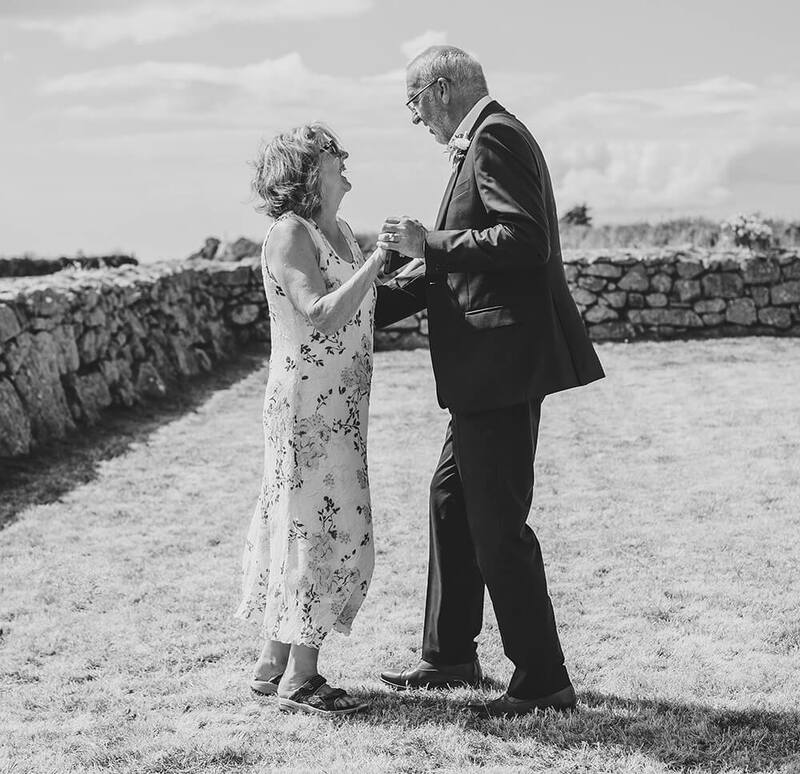 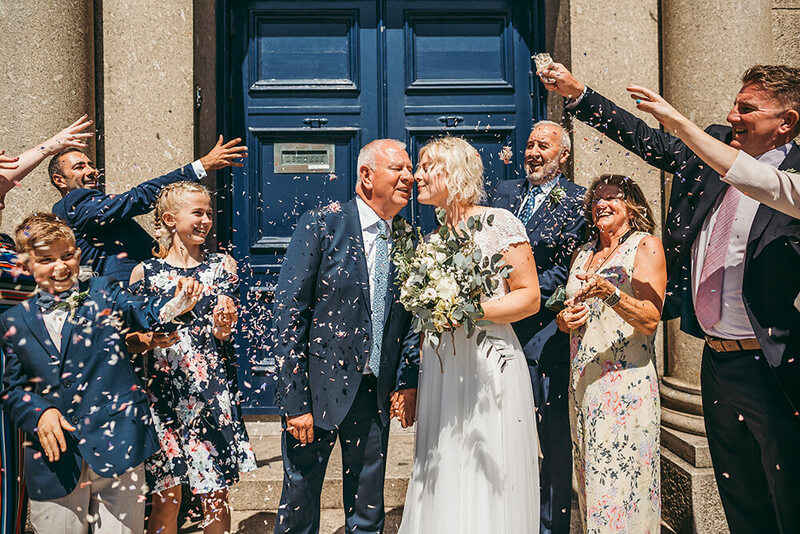 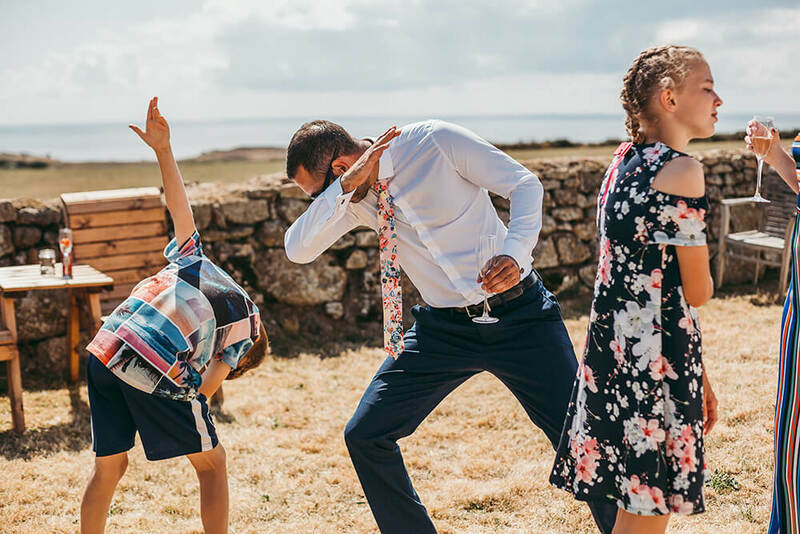 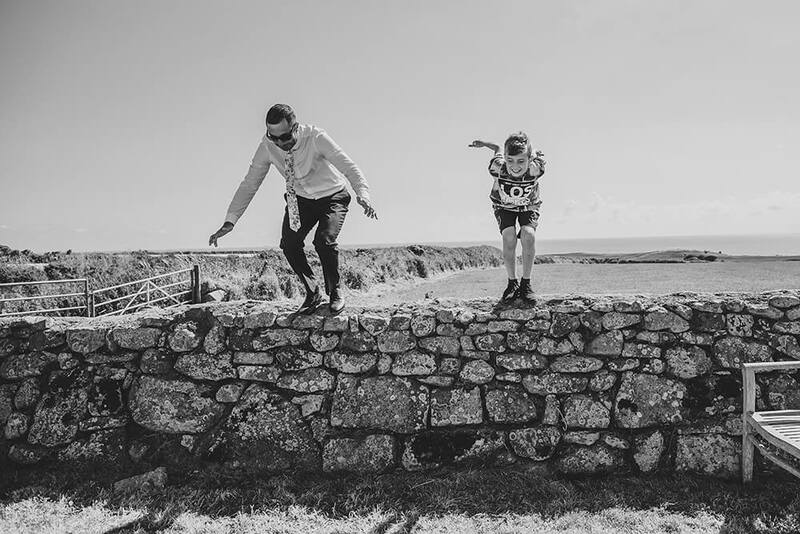 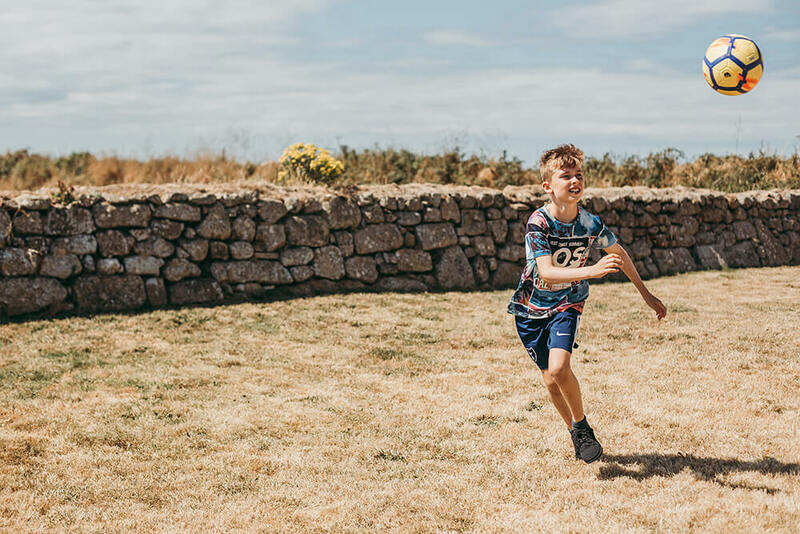 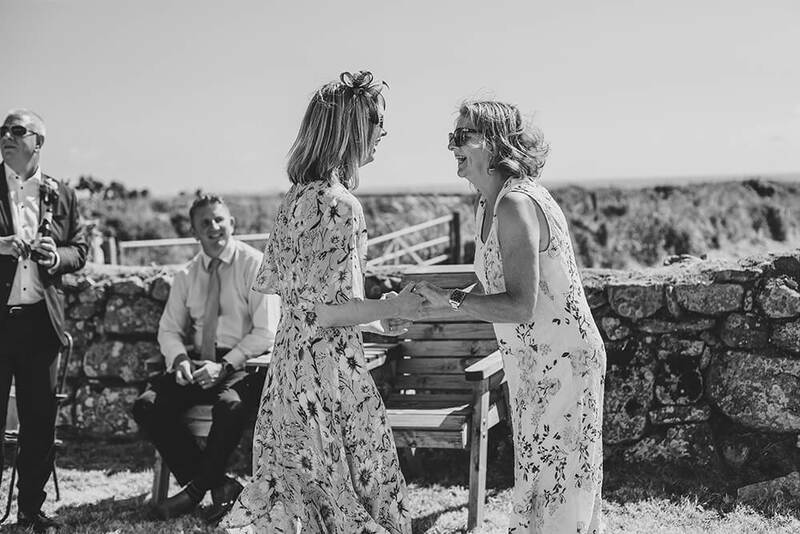 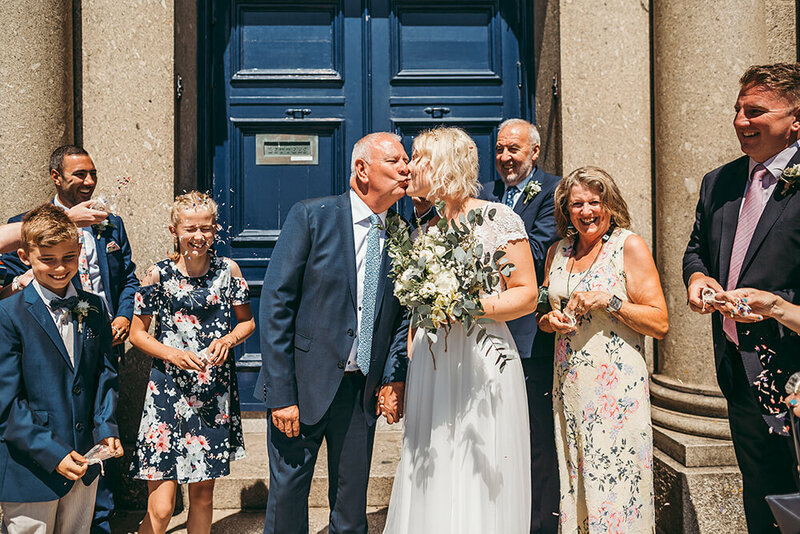 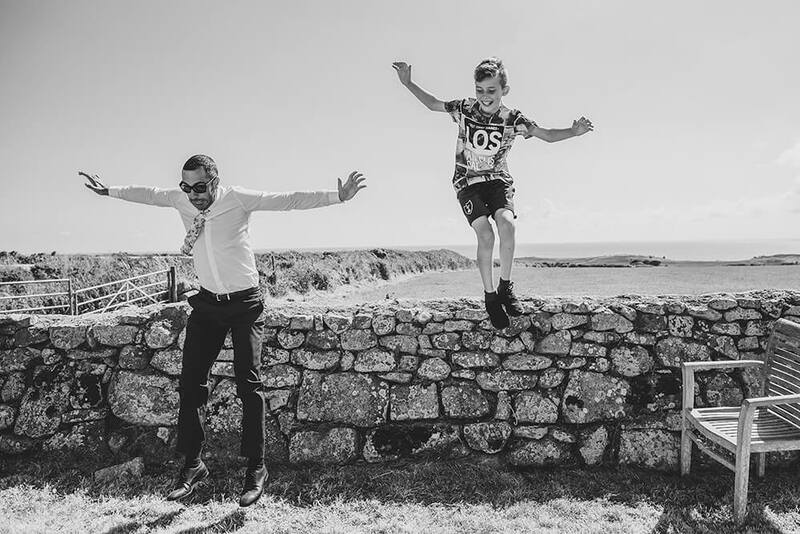 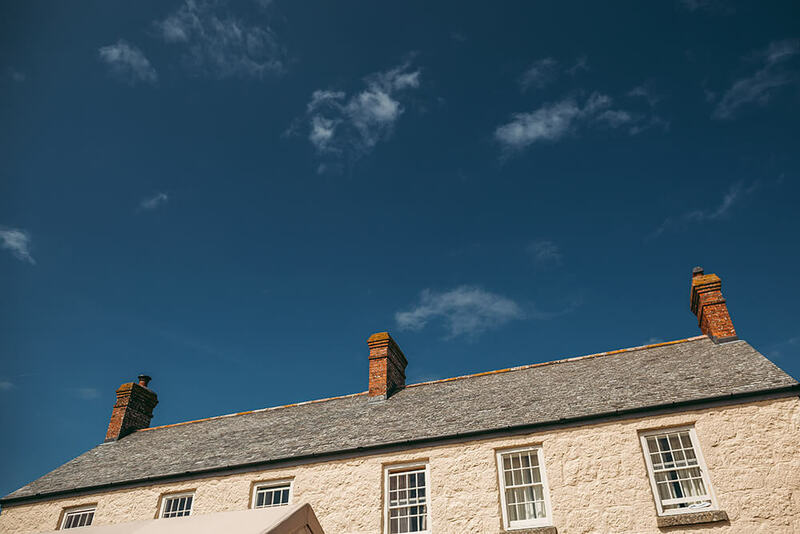 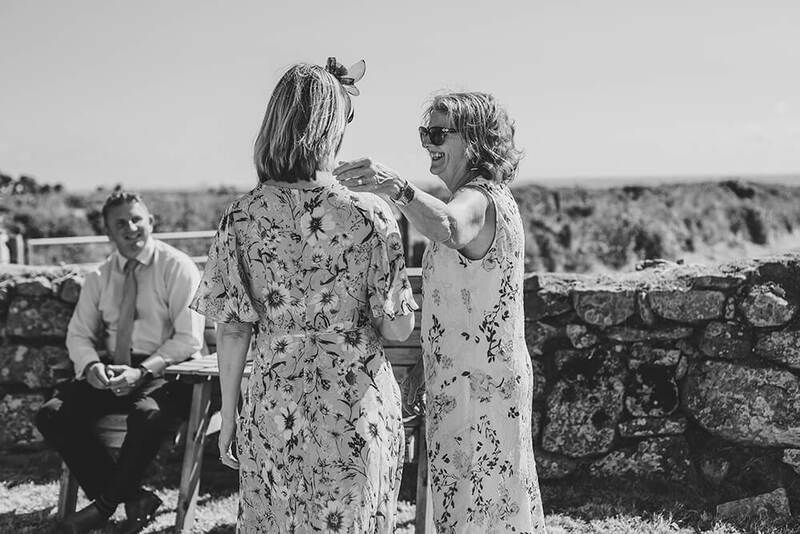 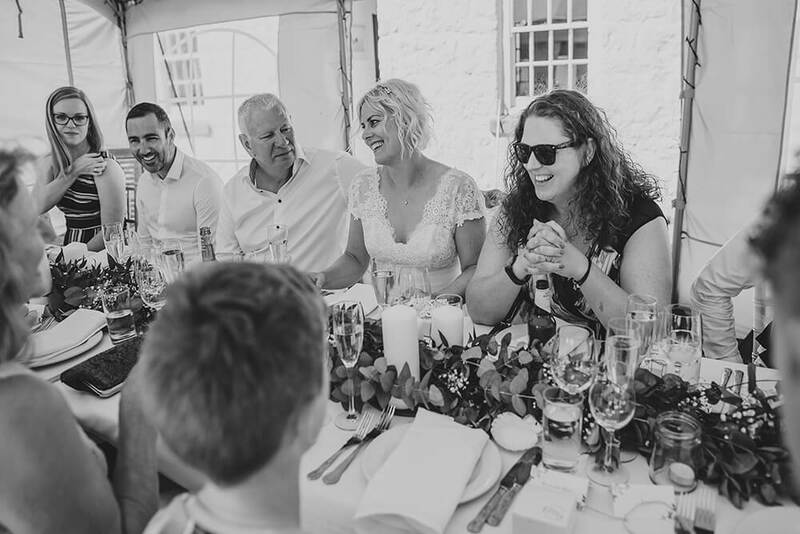 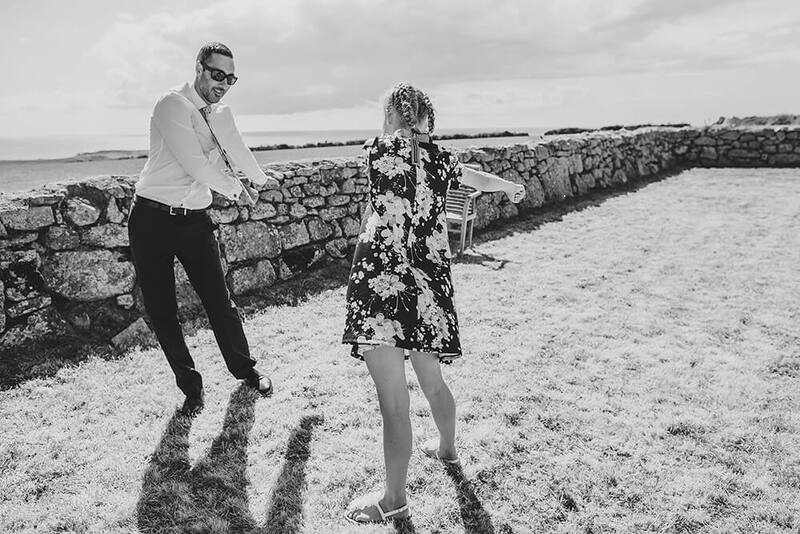 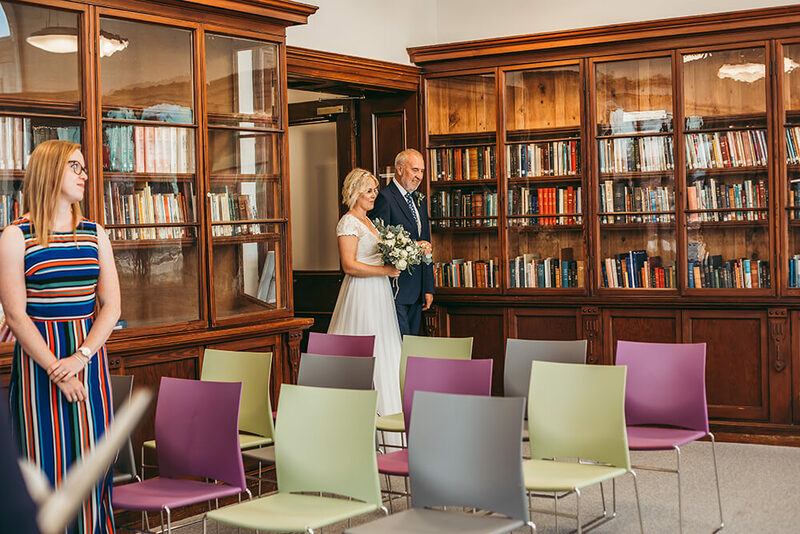 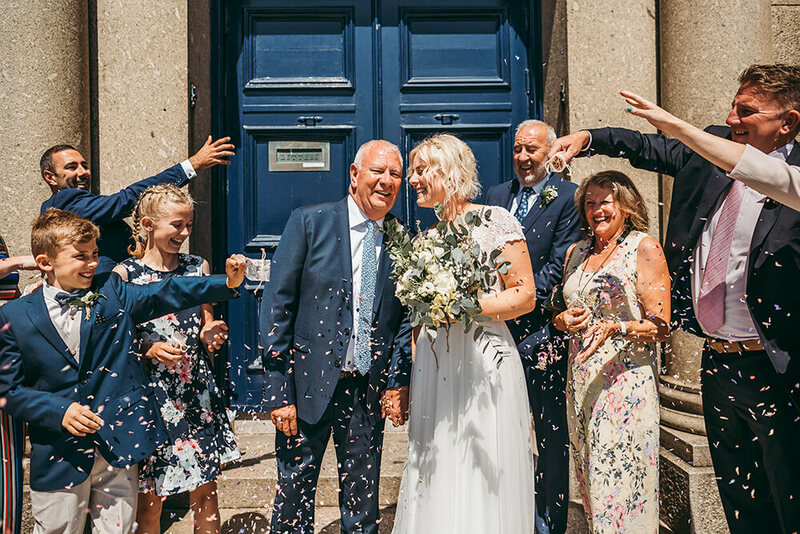 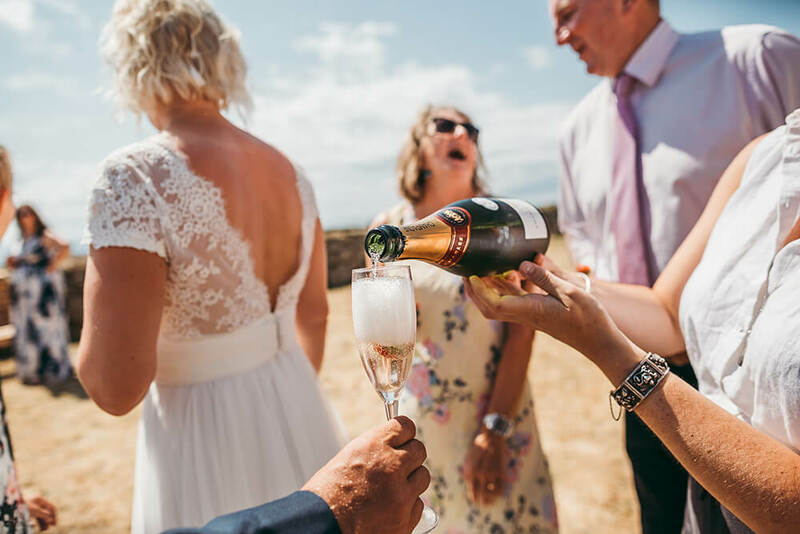 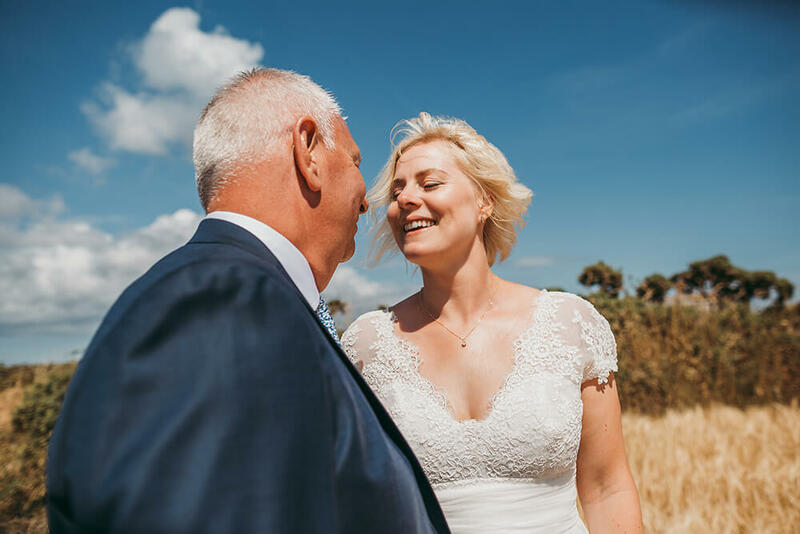 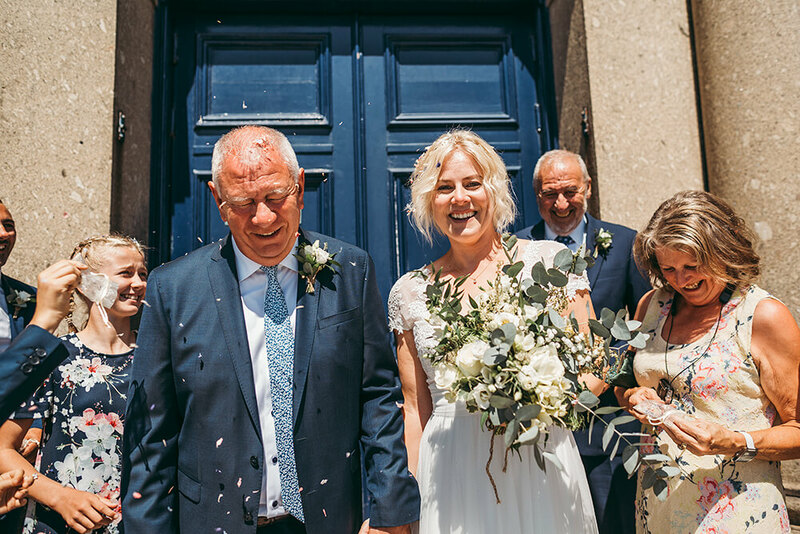 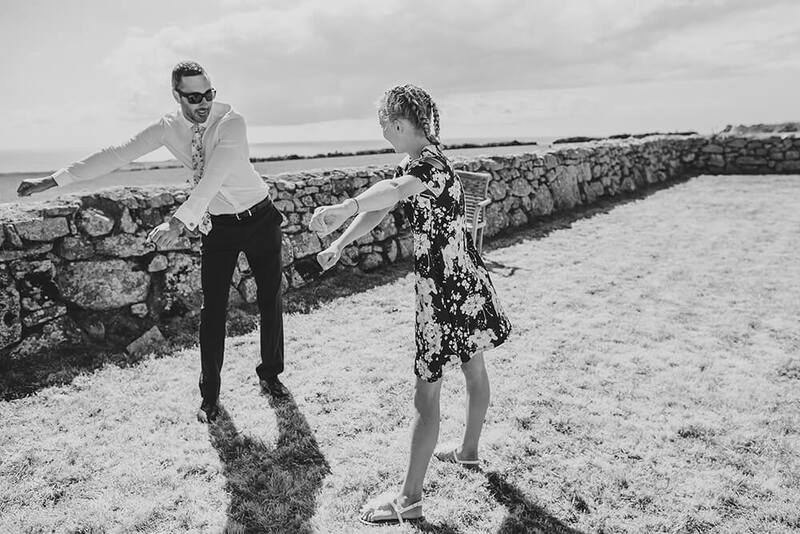 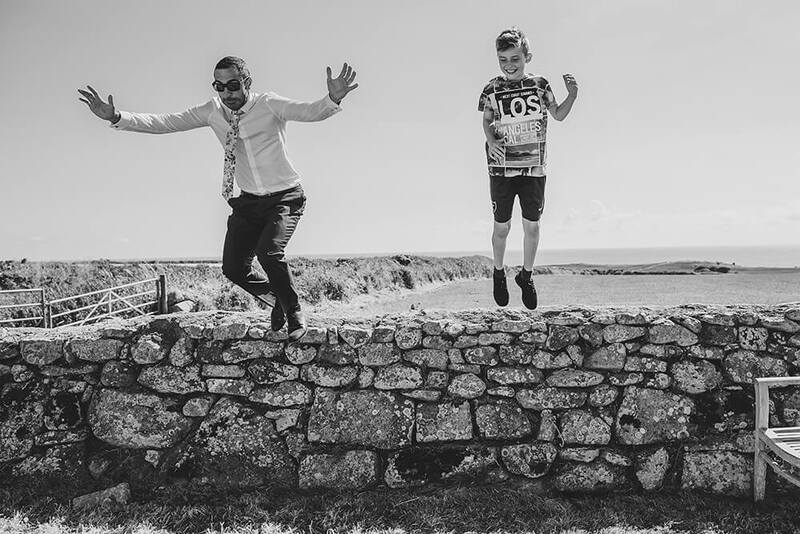 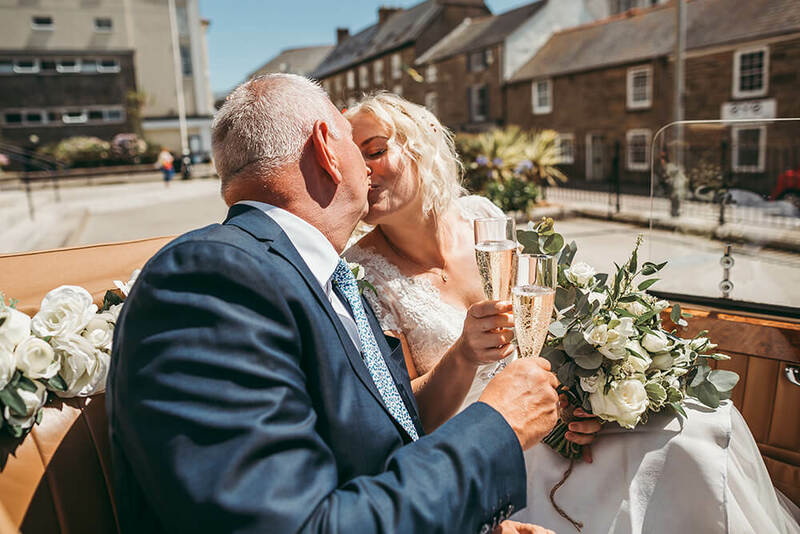 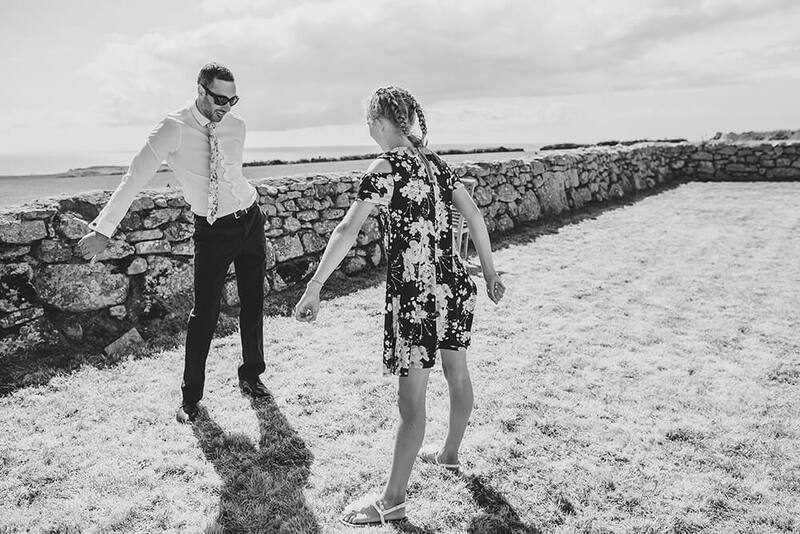 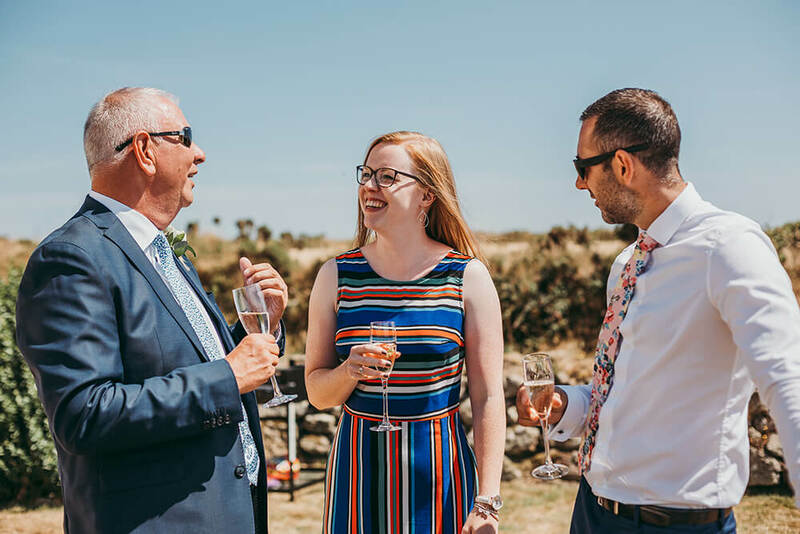 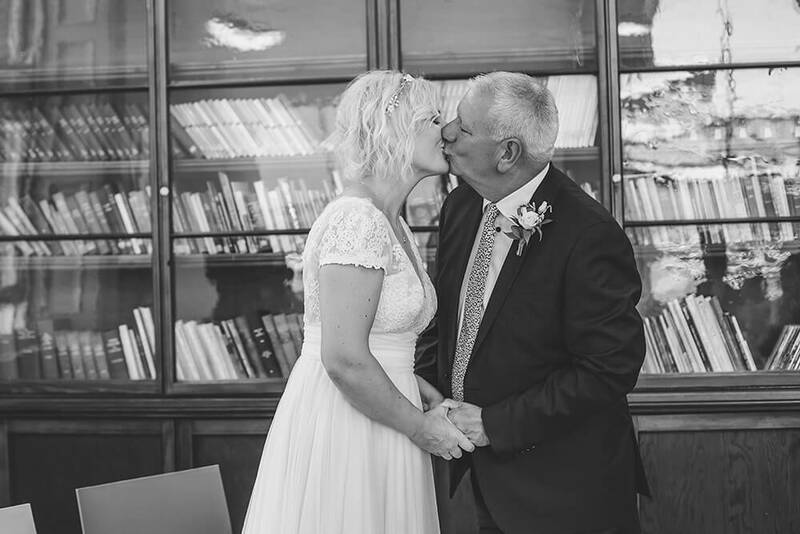 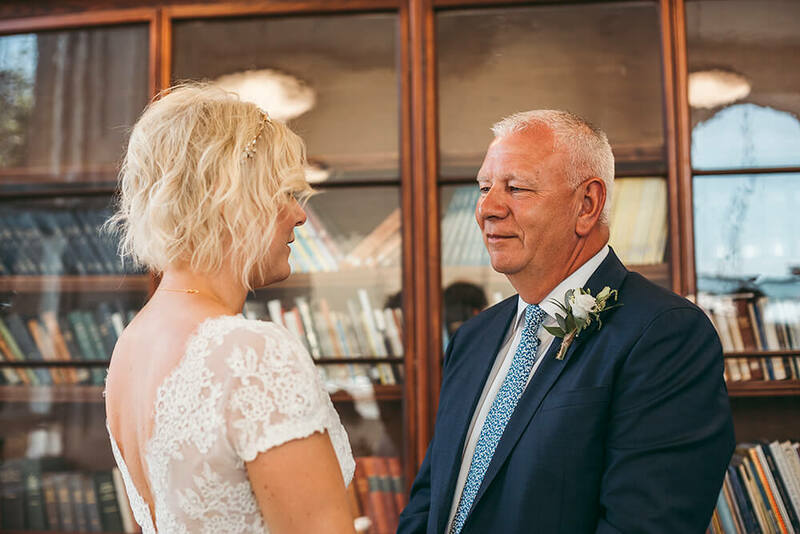 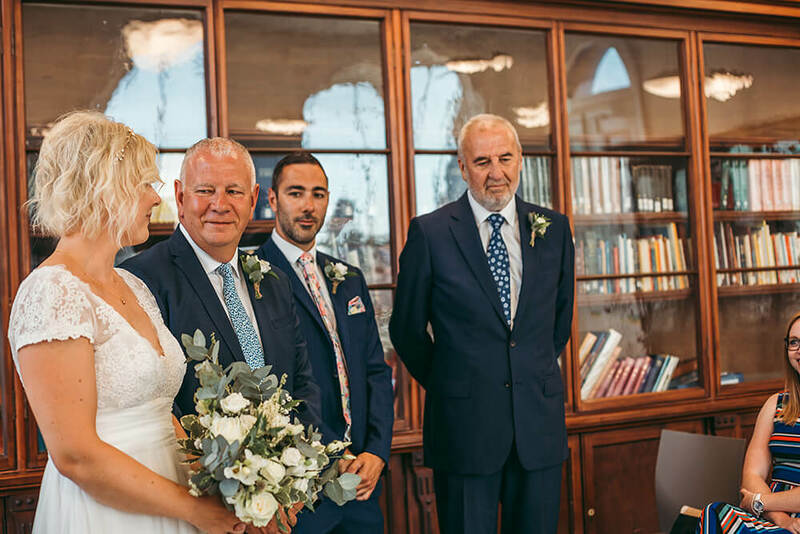 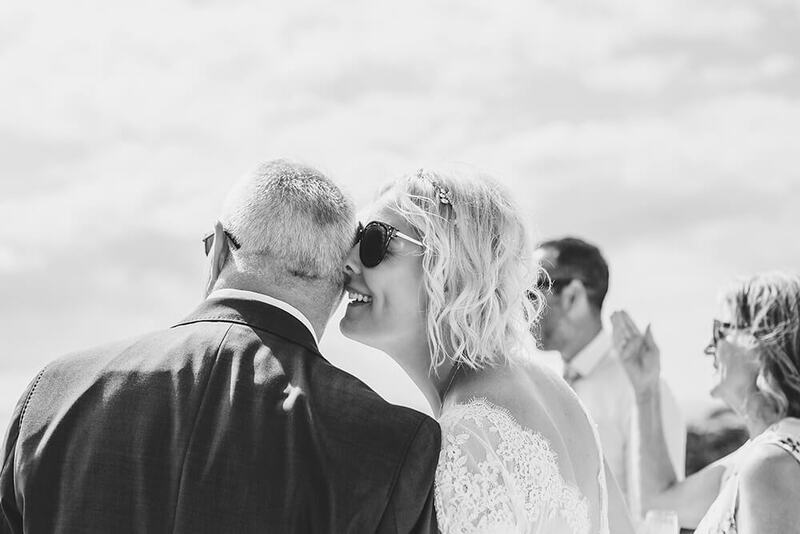 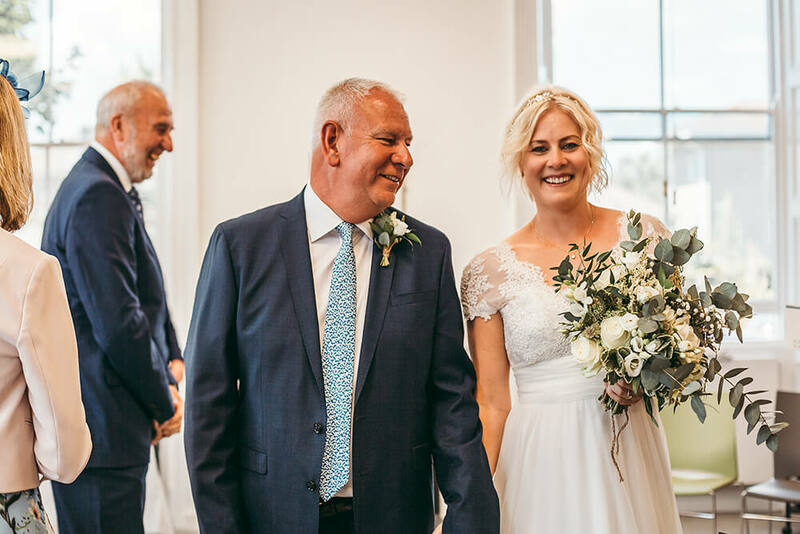 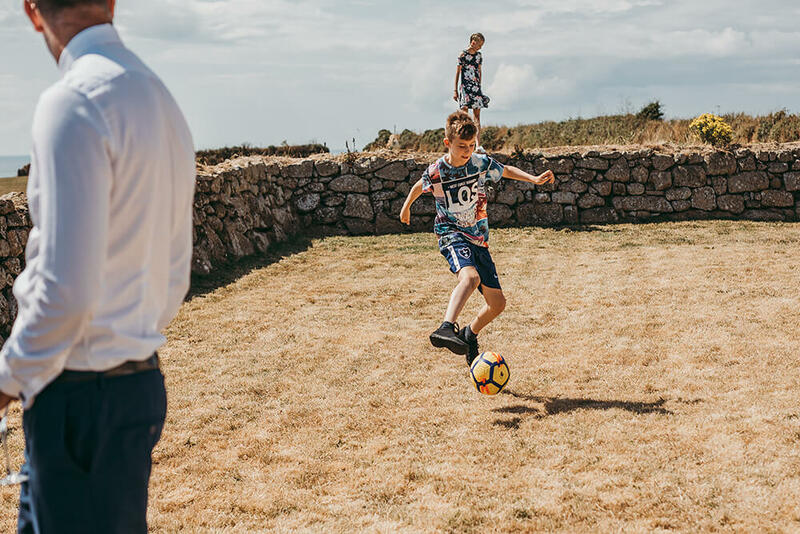 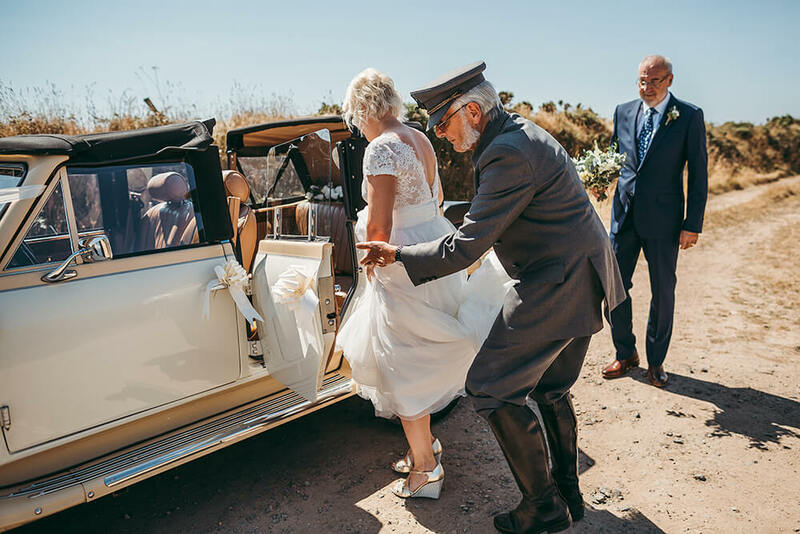 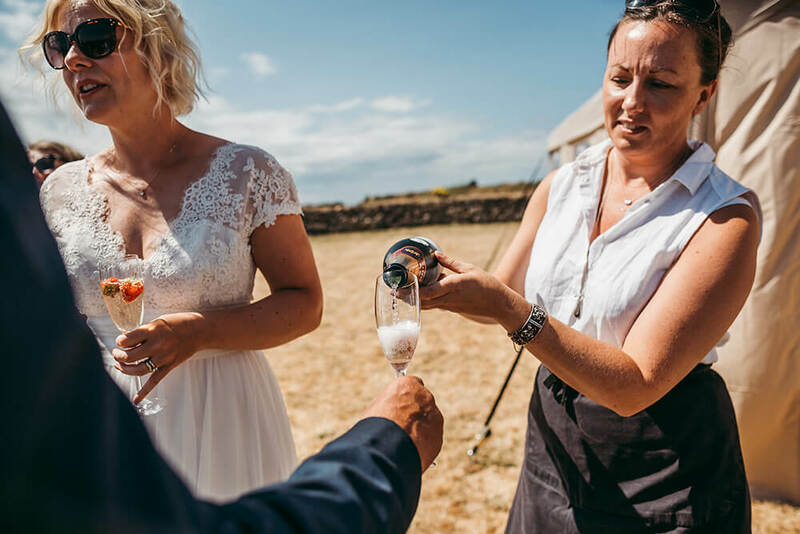 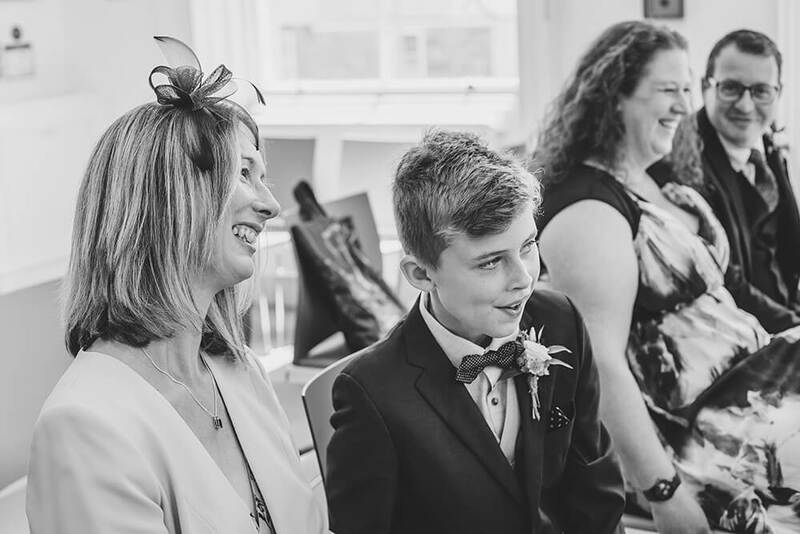 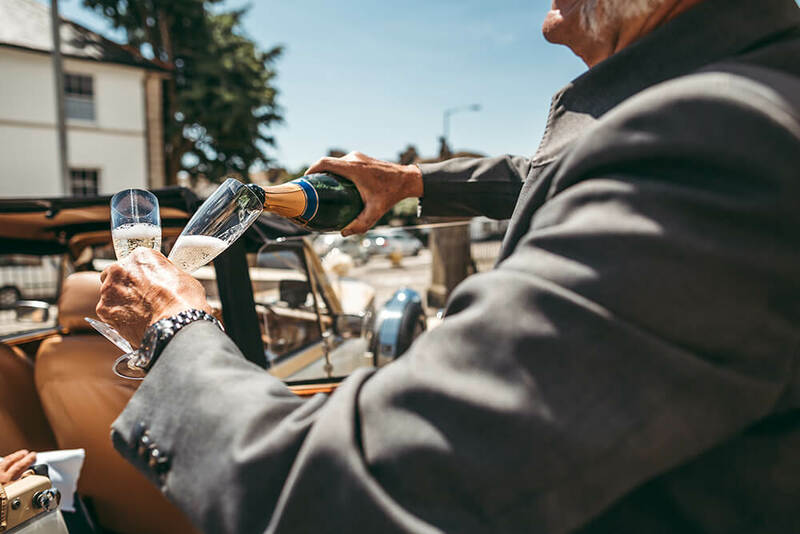 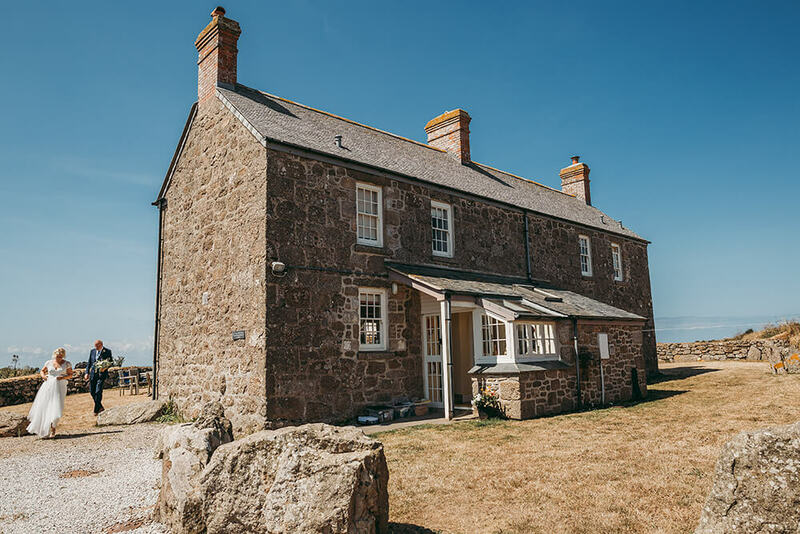 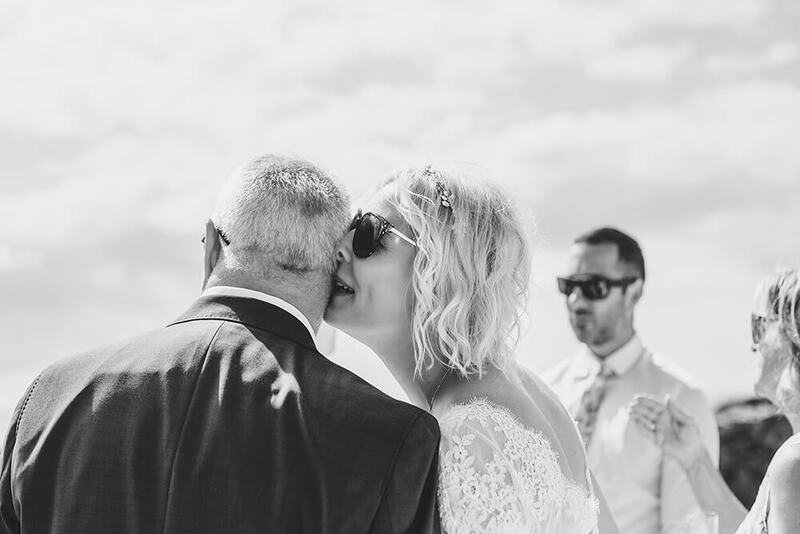 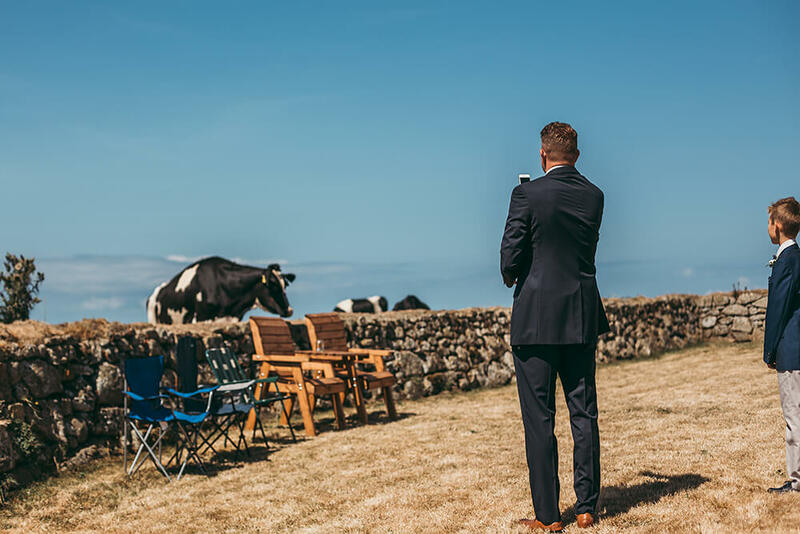 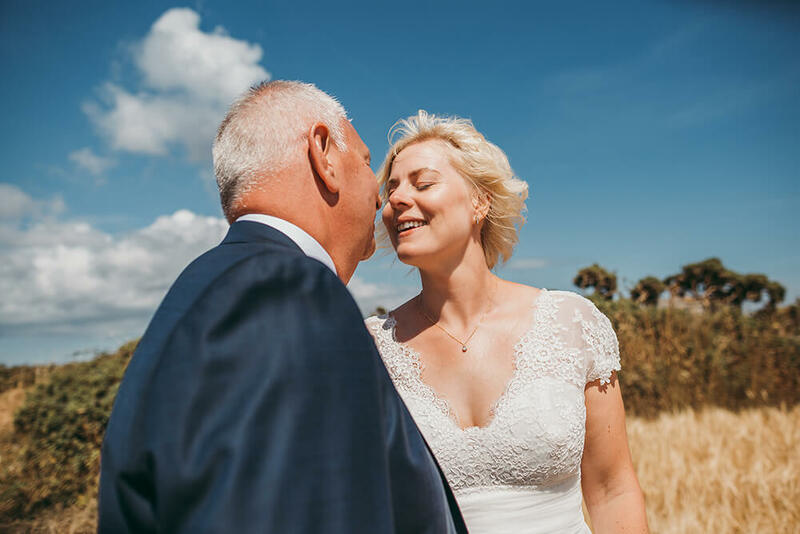 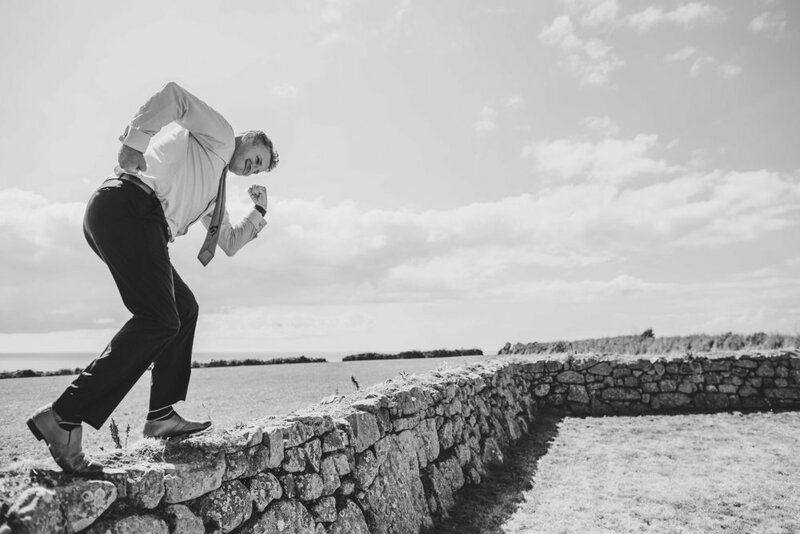 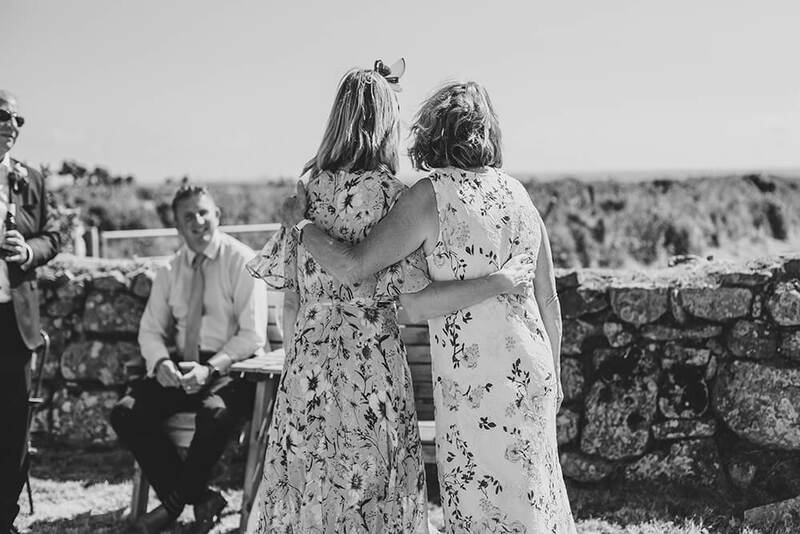 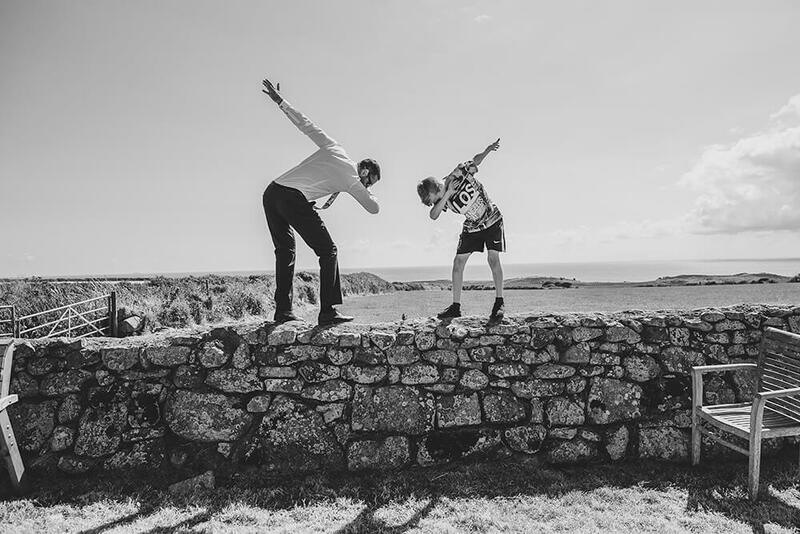 The couple had travelled from Gloucestershire to Cornwall with their family and close friends to get married, and they were planning on staying within the region for a few days to incorporate their honeymoon. 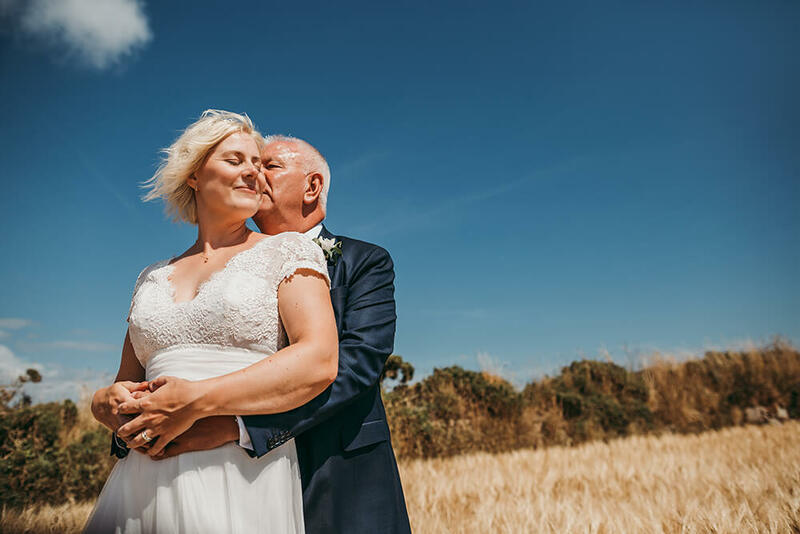 They certainly had the perfect weather for it! 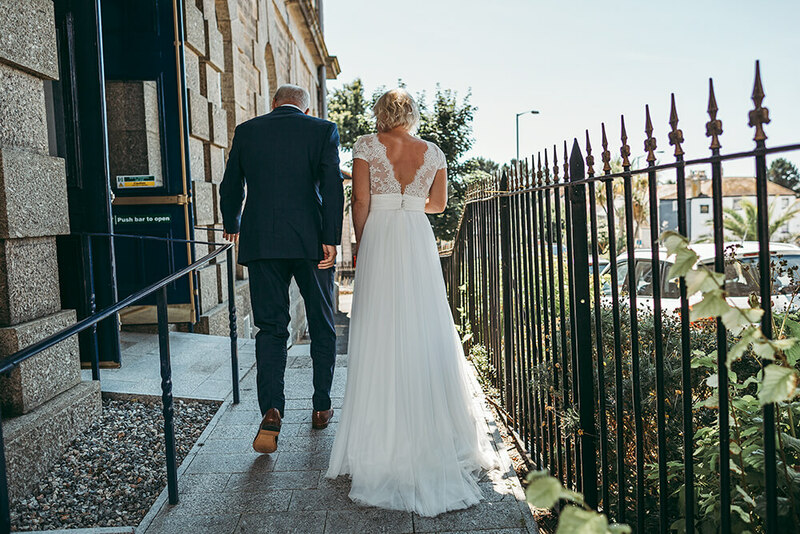 Georgina wore a beautiful chiffon layered wedding dress with cap sleeves and a lace boddice. 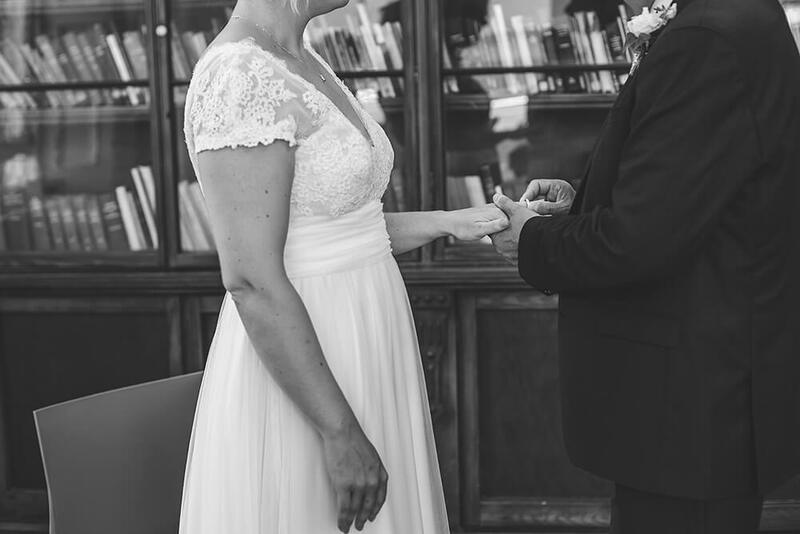 She finished the look with a pretty flowered head band. 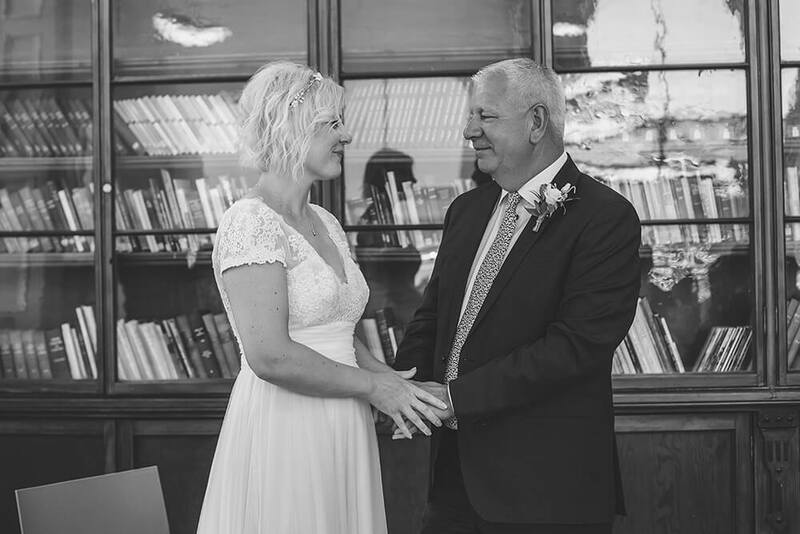 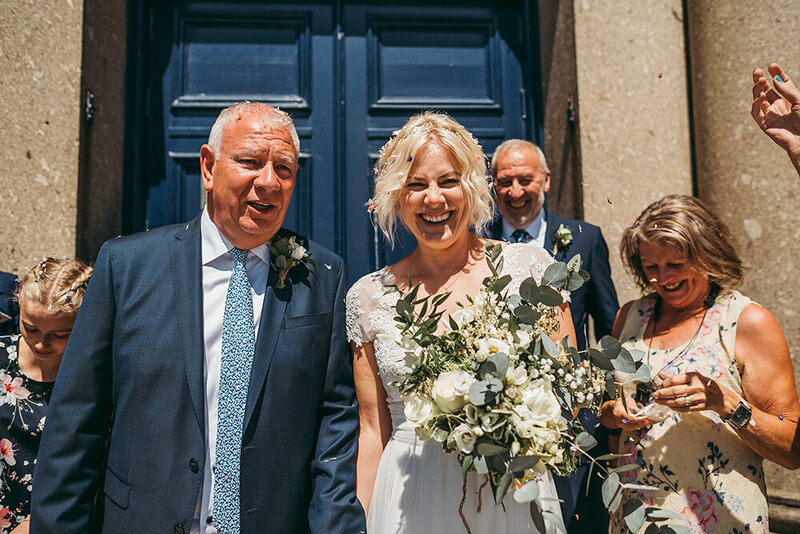 Her wedding flowers consisted of a bouquet of white roses, gypsophelia and eucalyptus which was carefully put together by wedding florist Twigs and Greens. 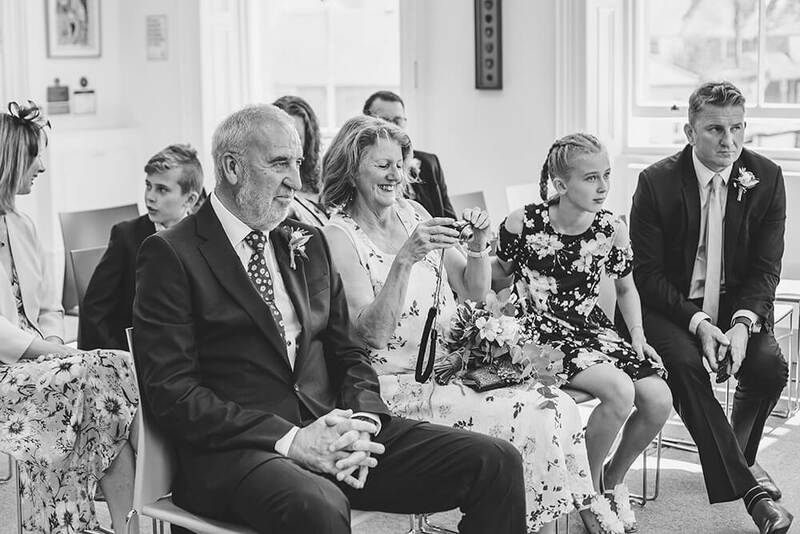 Tom looked smart in a navy blue two piece suit with a white shirt, a pale blue and white tie and brown shoes. 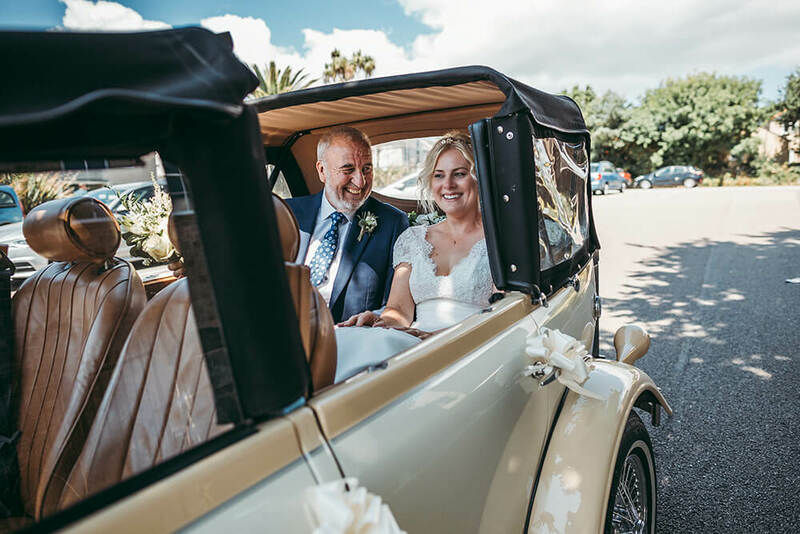 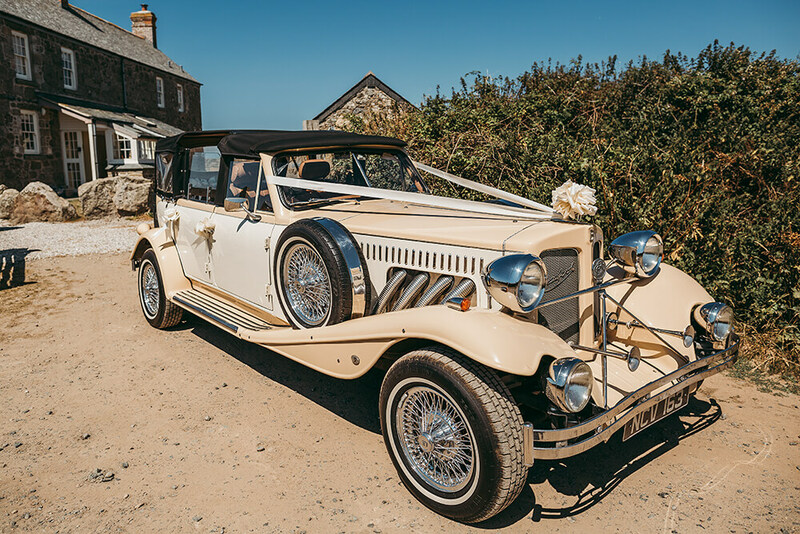 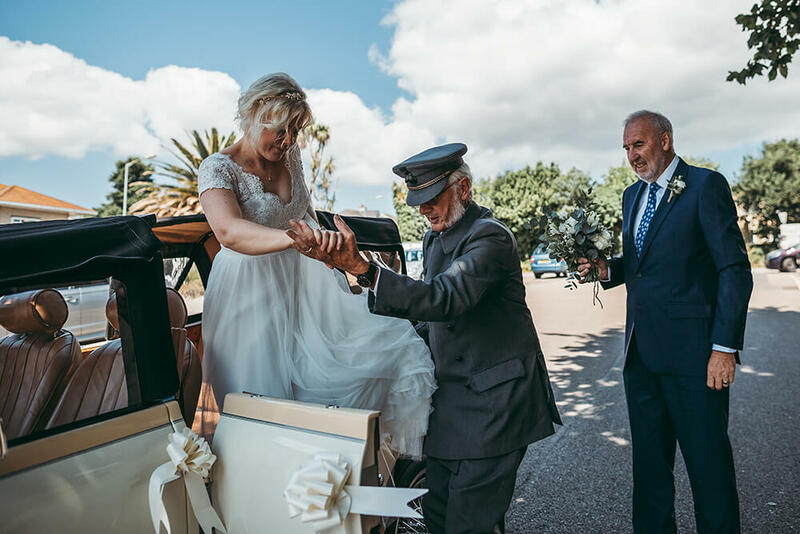 Georgina was transported in style to Penzance’s local registry office St John’s Hall in a Beauford vintage style wedding car, which is a replica of the Dussenburg Grand Tourer of the 1930s. 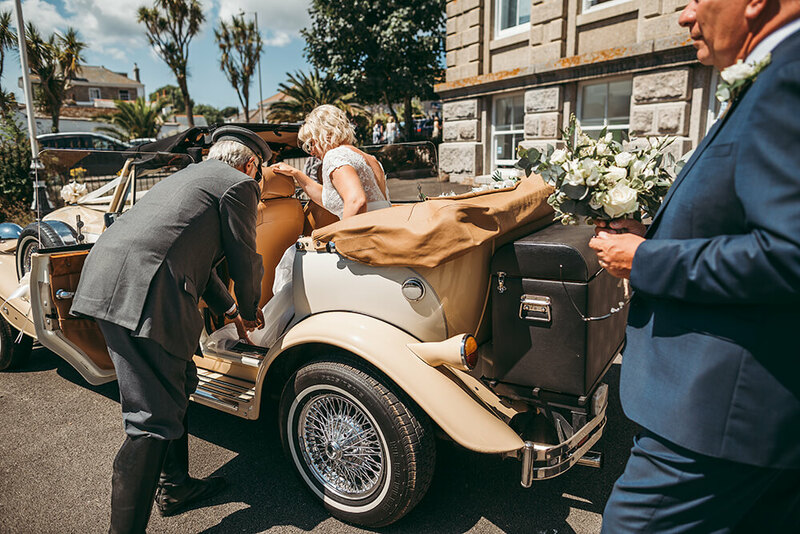 This beautiful wedding car was accompanied with a chauffeur and supplied by Roaring 30s. 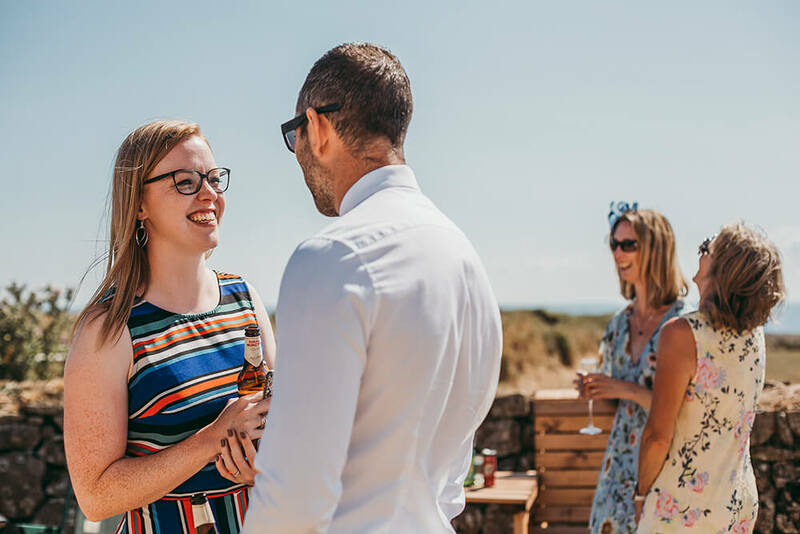 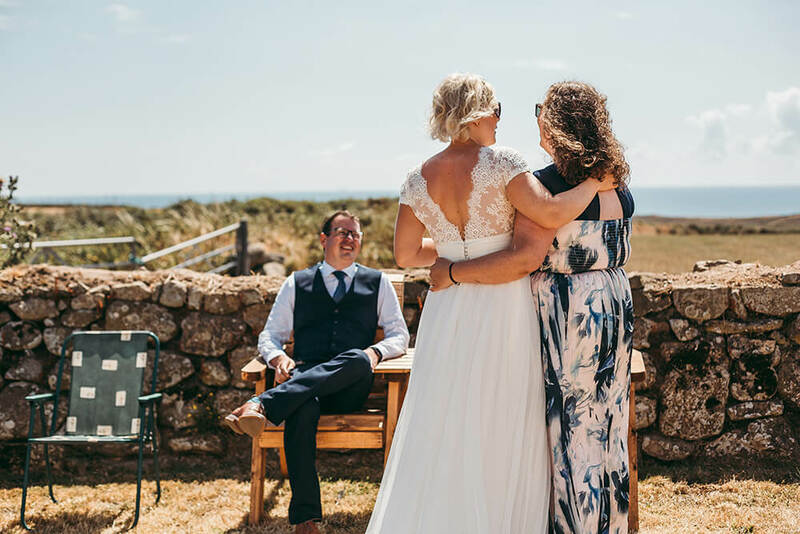 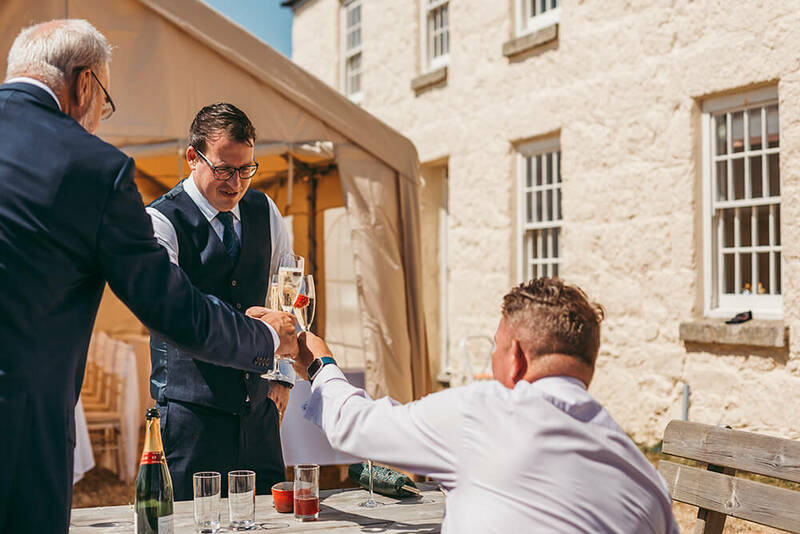 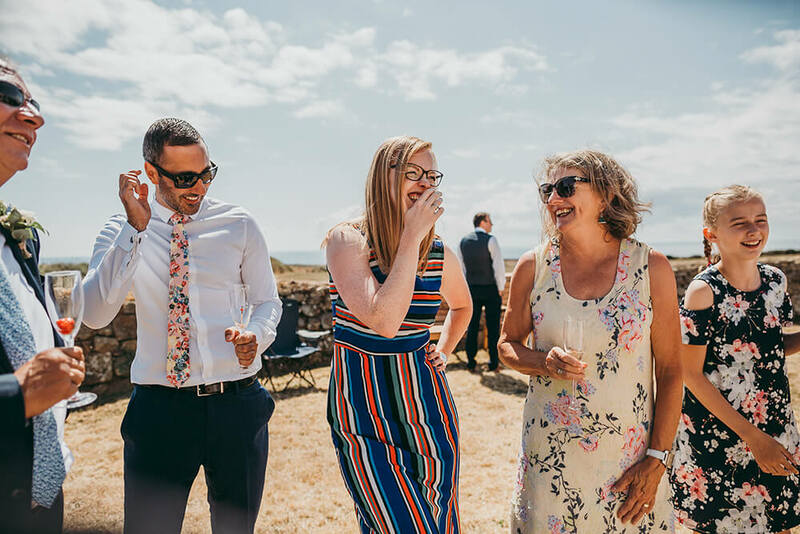 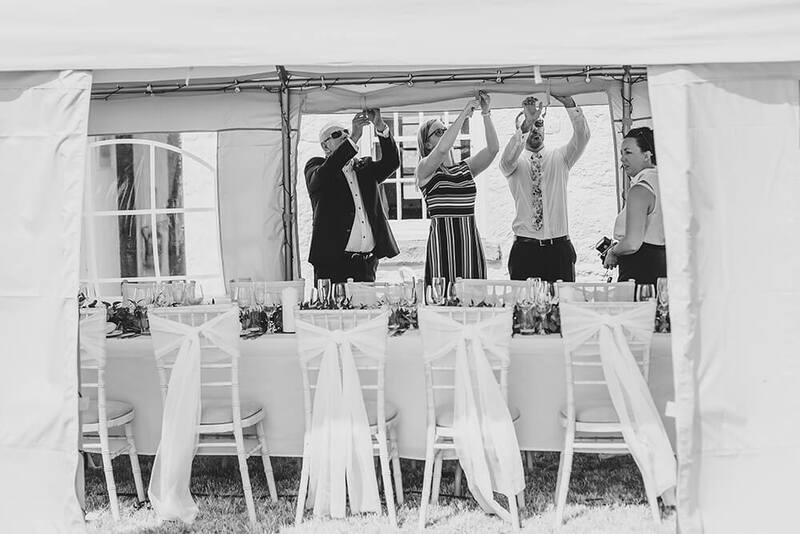 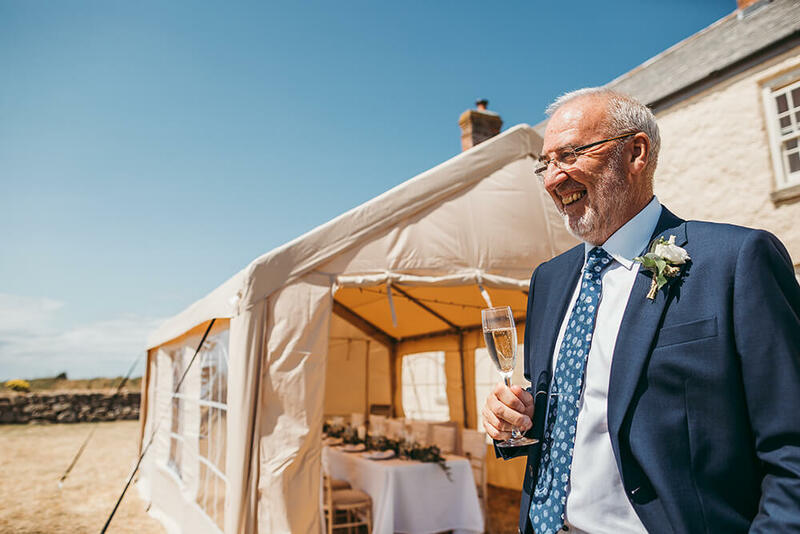 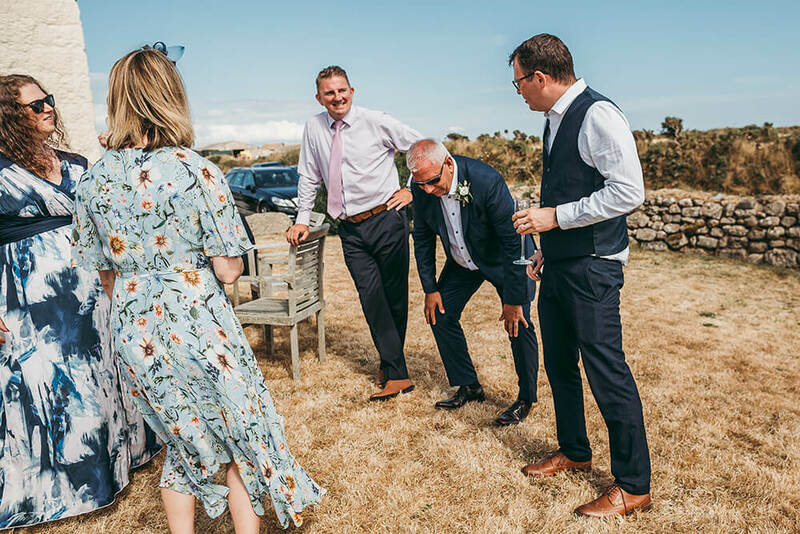 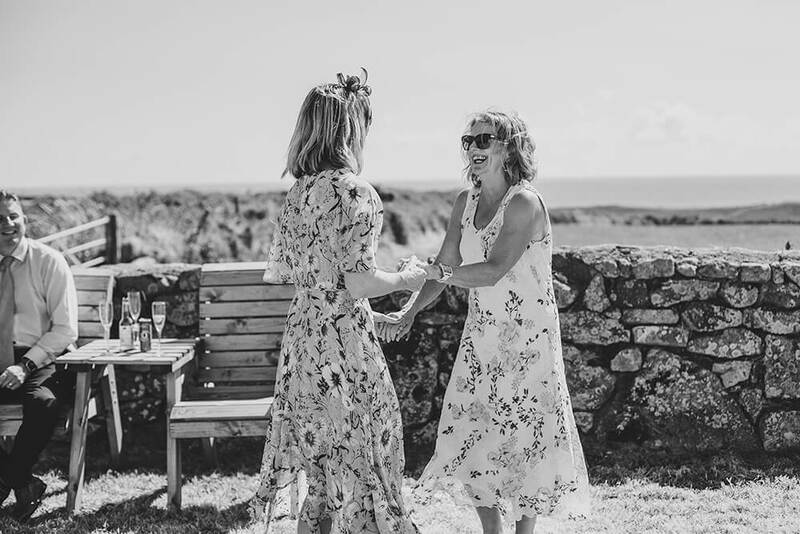 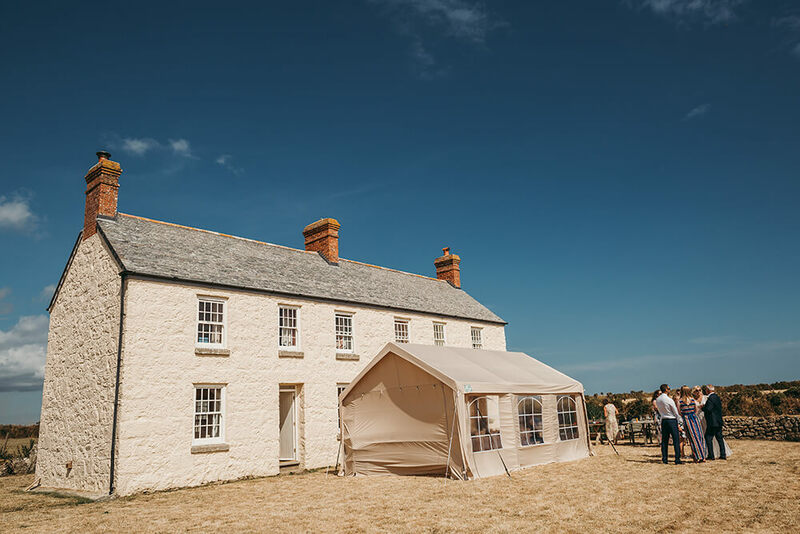 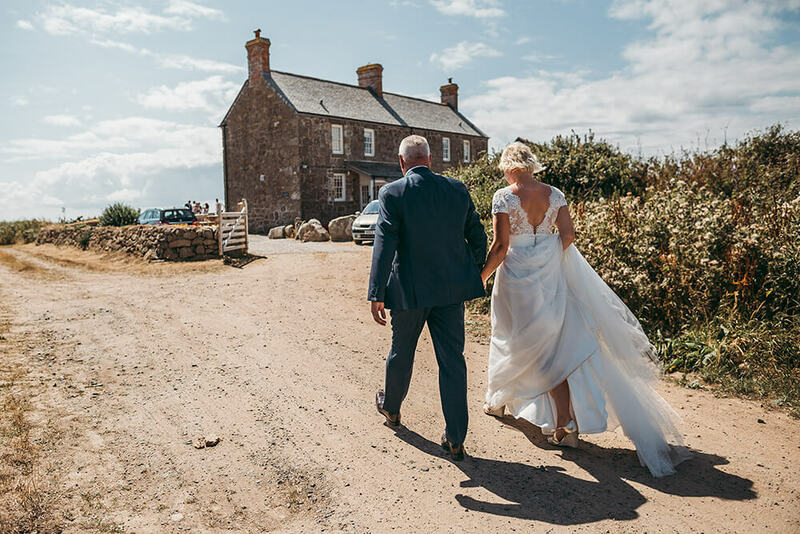 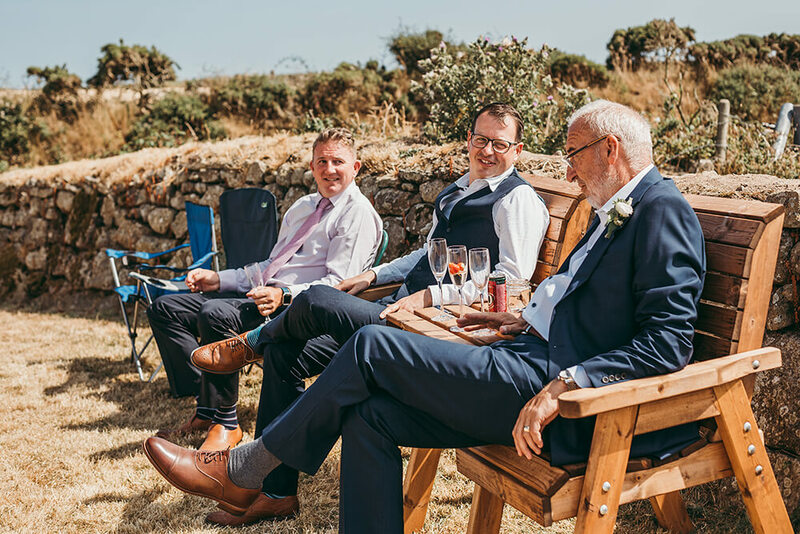 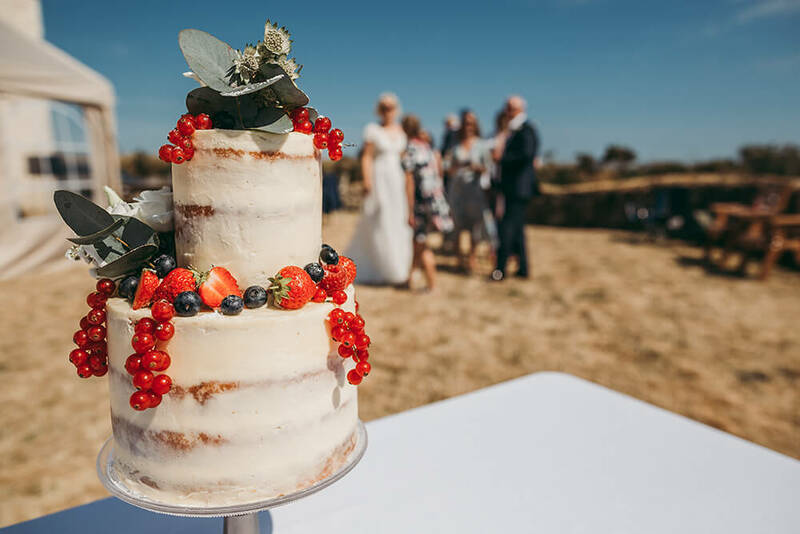 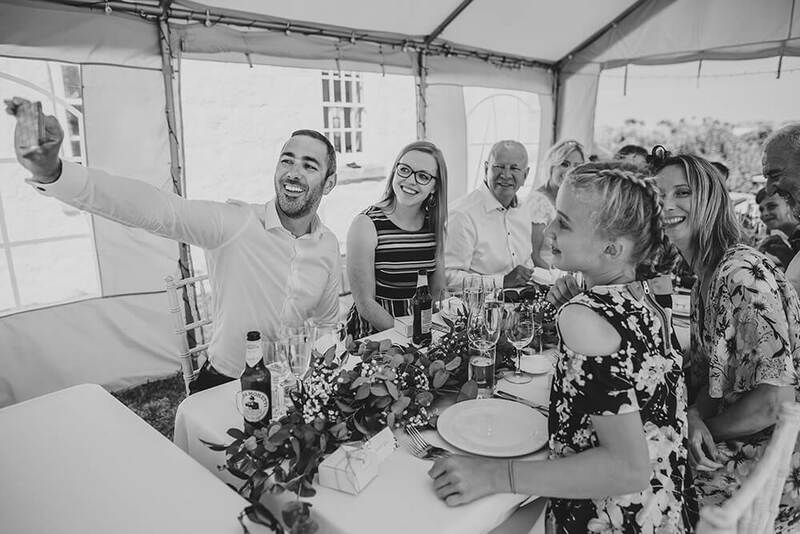 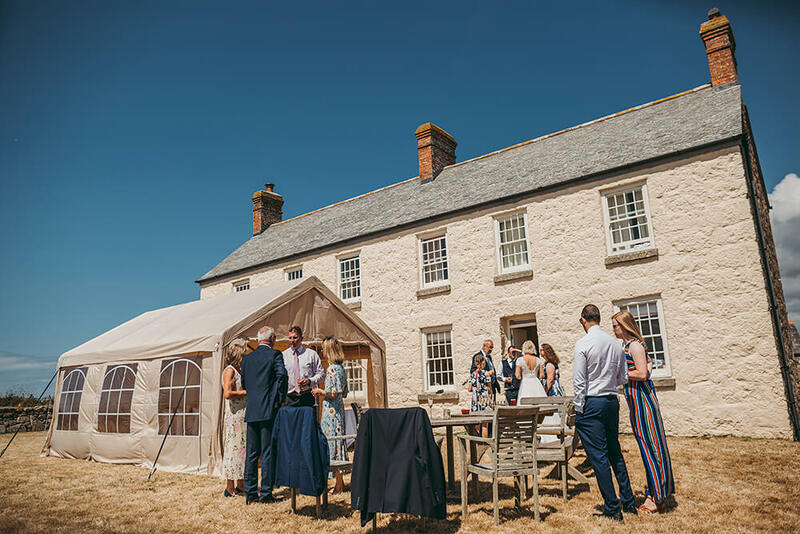 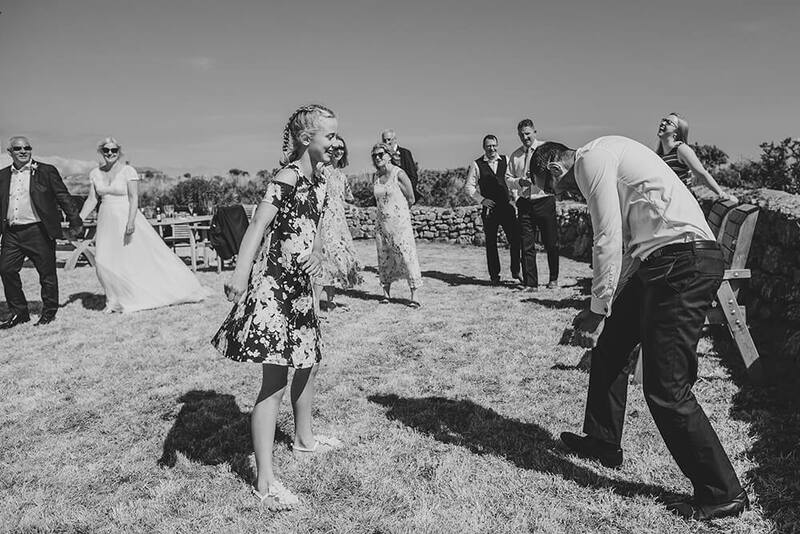 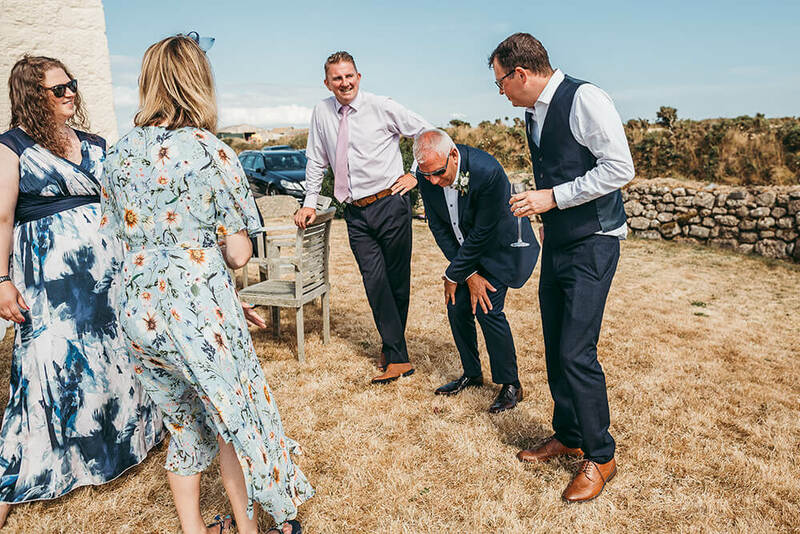 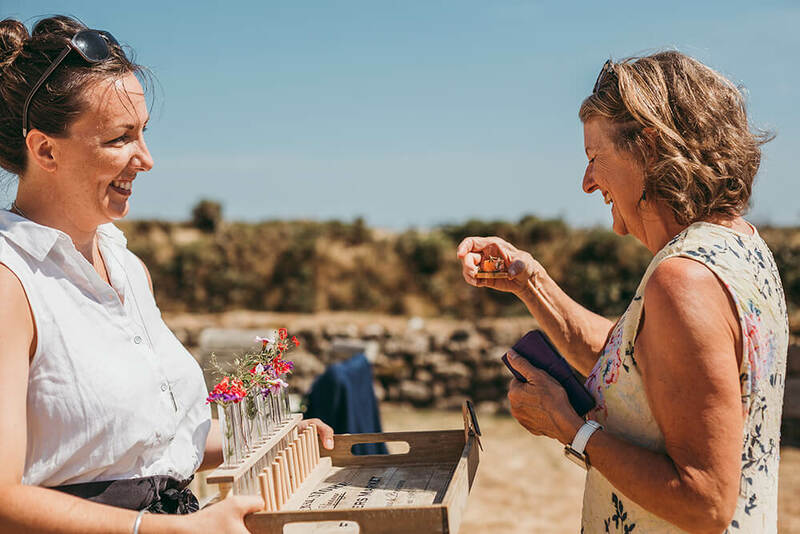 Having tied the knot, we headed back to their holiday cottage at Porthgwarra for their marquee garden wedding reception. 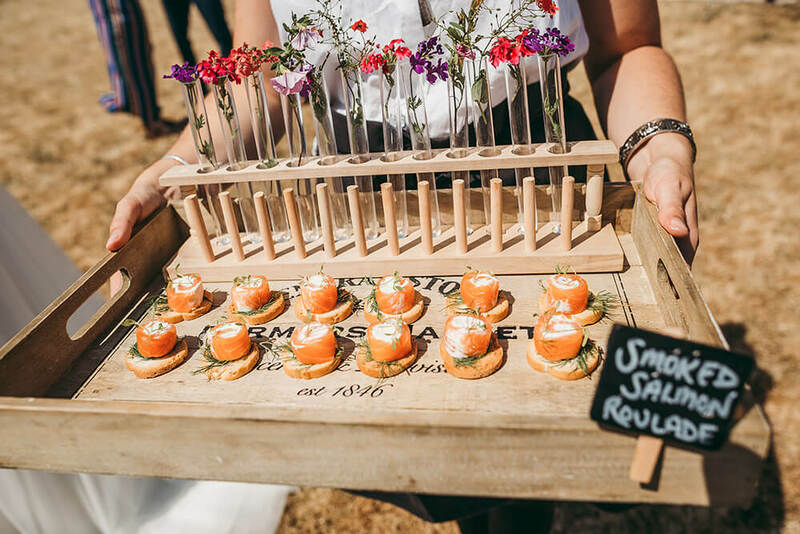 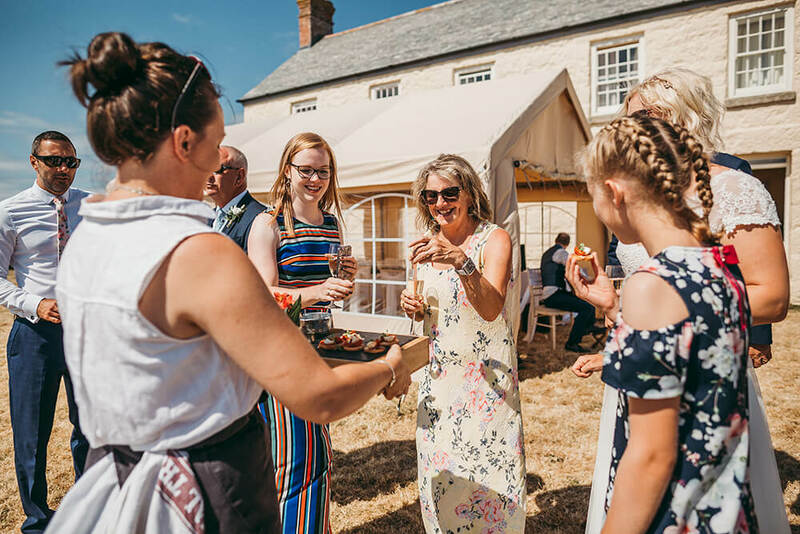 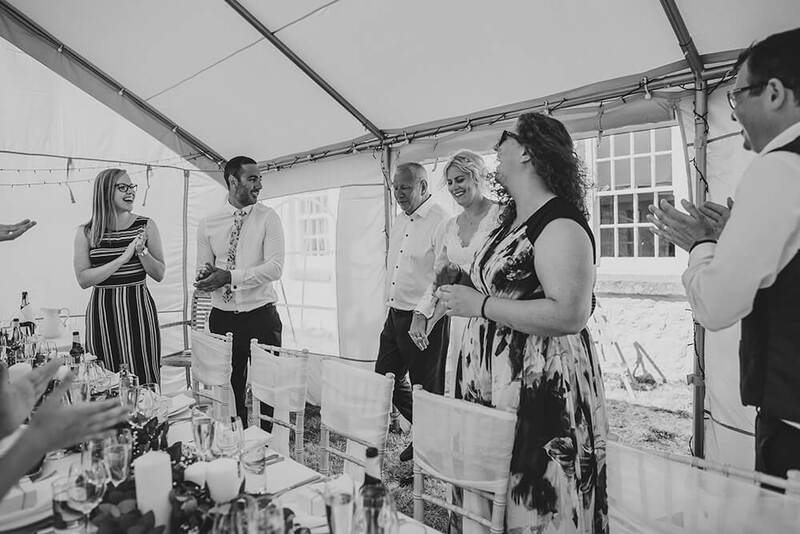 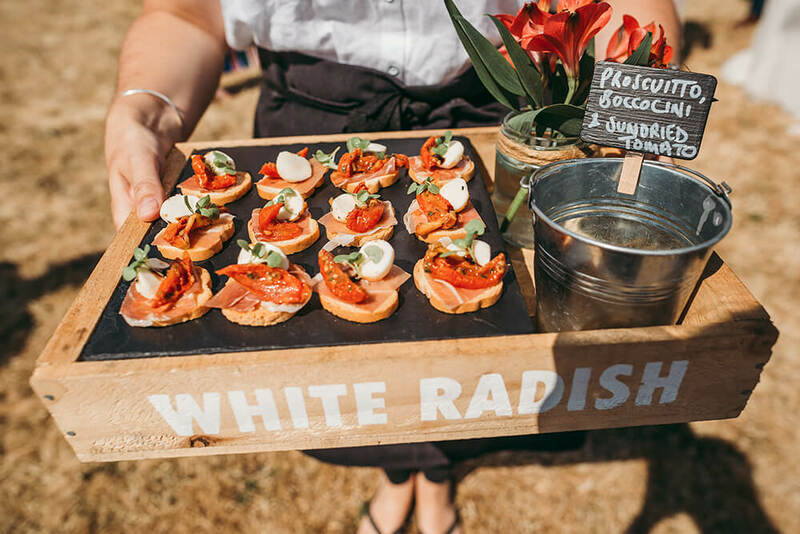 On arrival Georgina, Tom and their guests enjoyed champagne and canapes in the sunshine, which were provided by wedding and event caterers White Radish, in the property’s large walled garden. 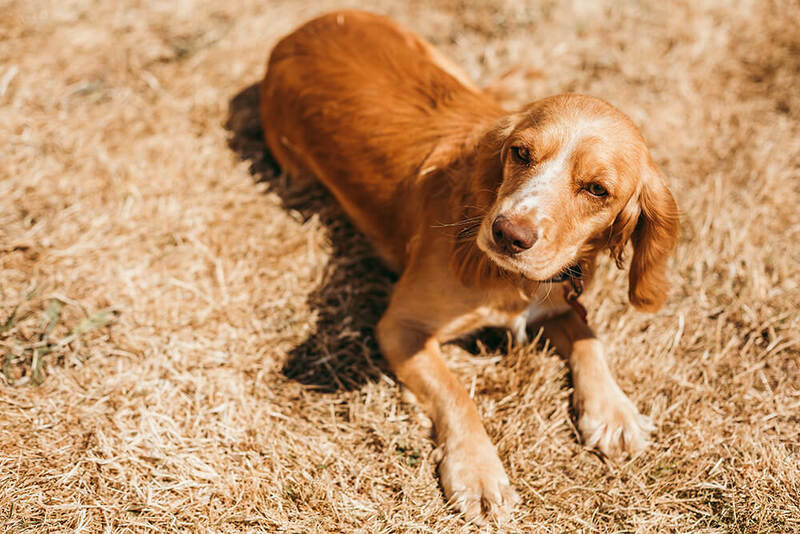 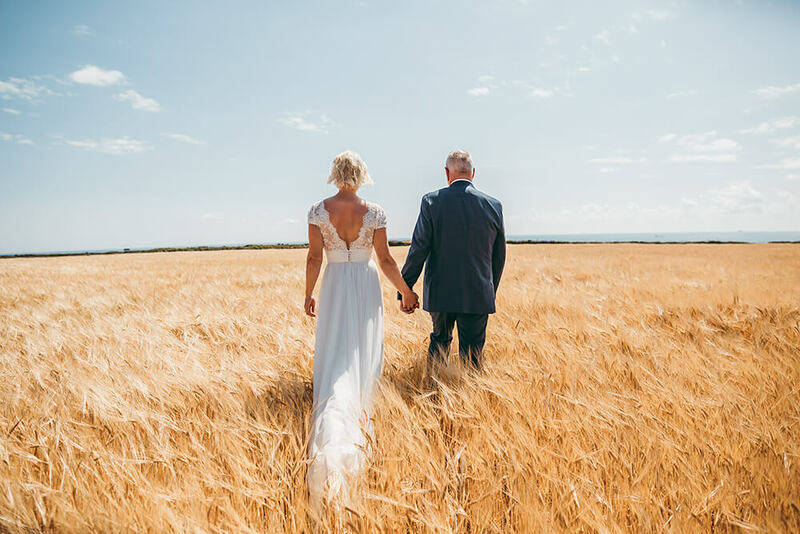 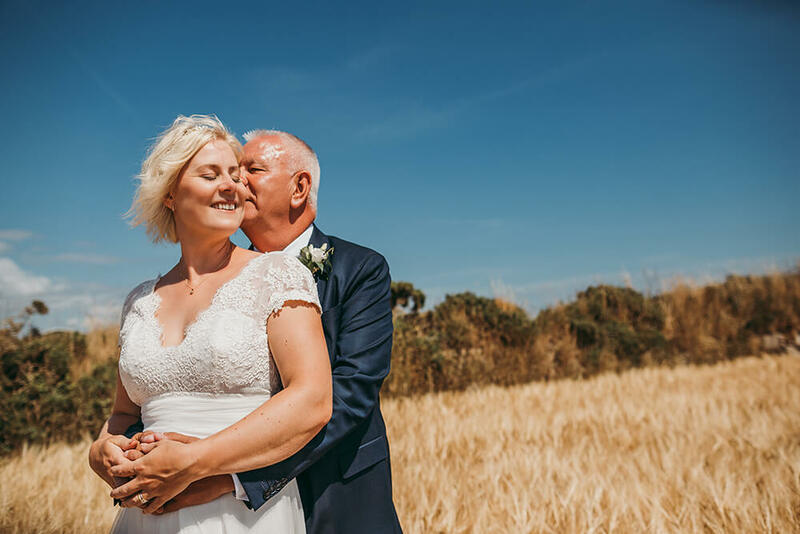 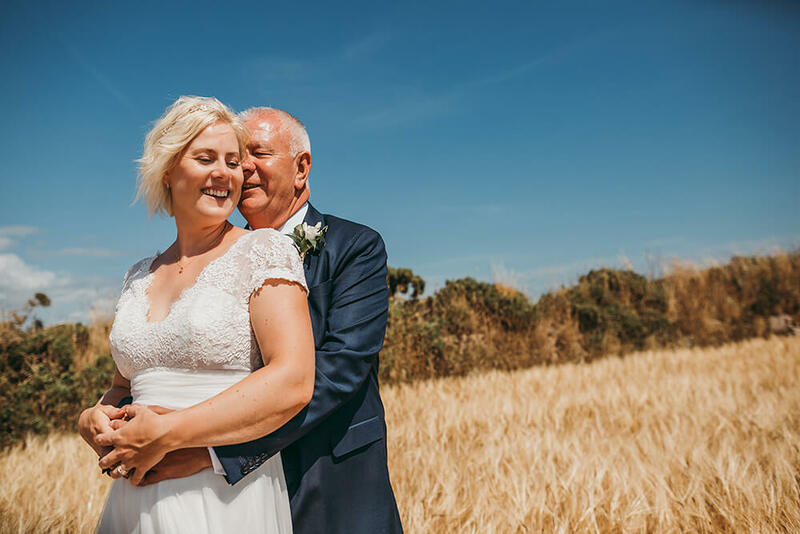 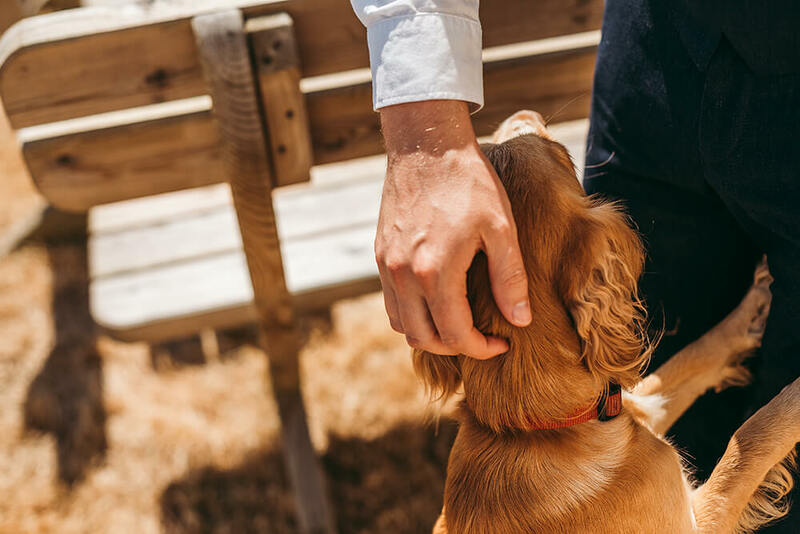 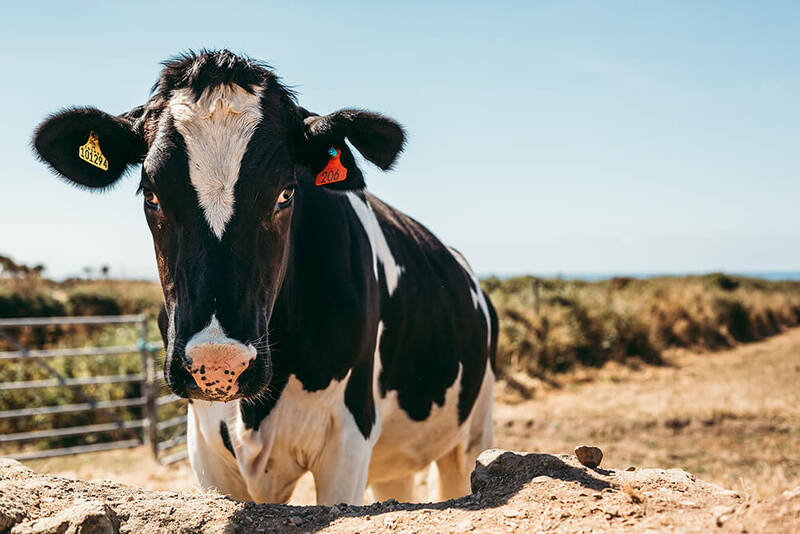 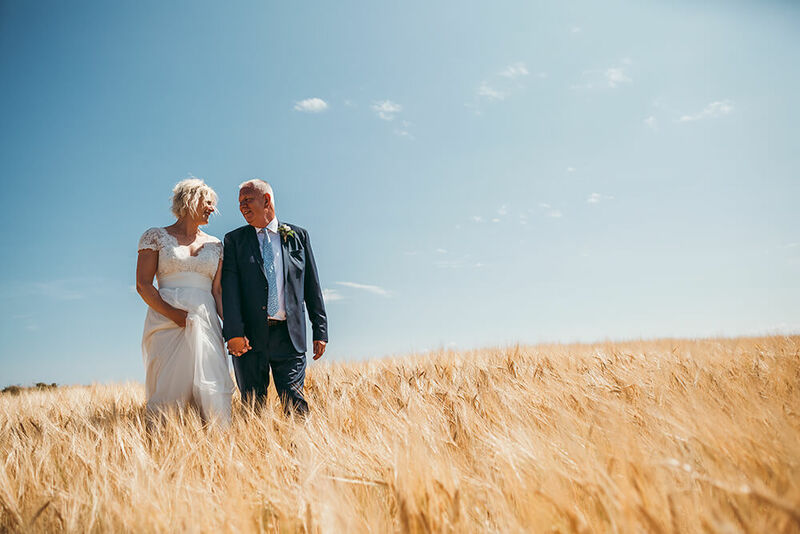 Their couple time shoot took place in a nearby corn field just a few metres from their holiday cottage, where Georgina and Tom enjoyed soaking up the gorgeous sunshine. 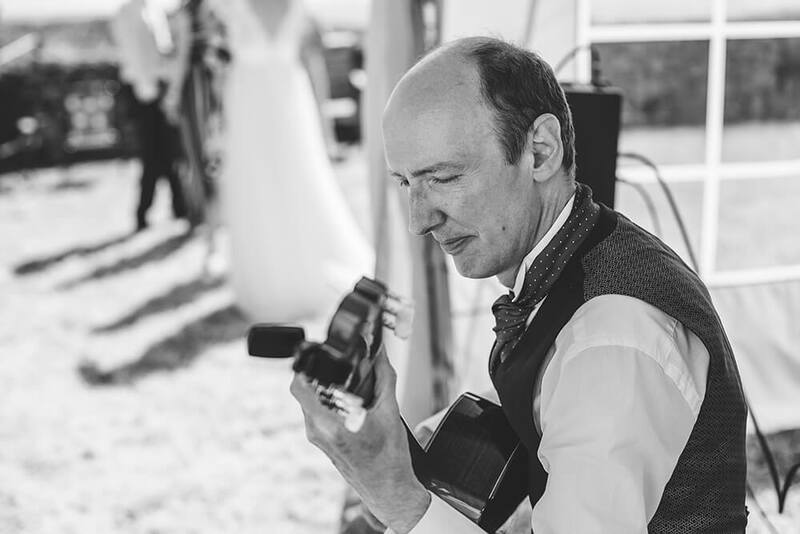 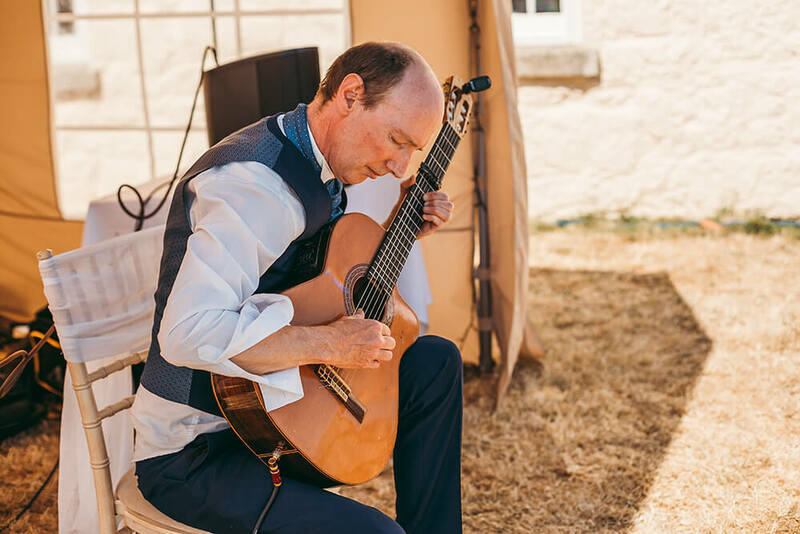 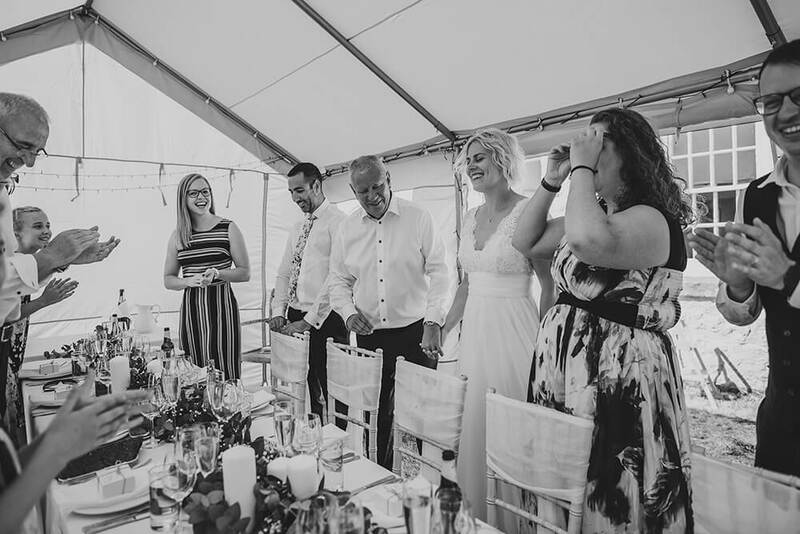 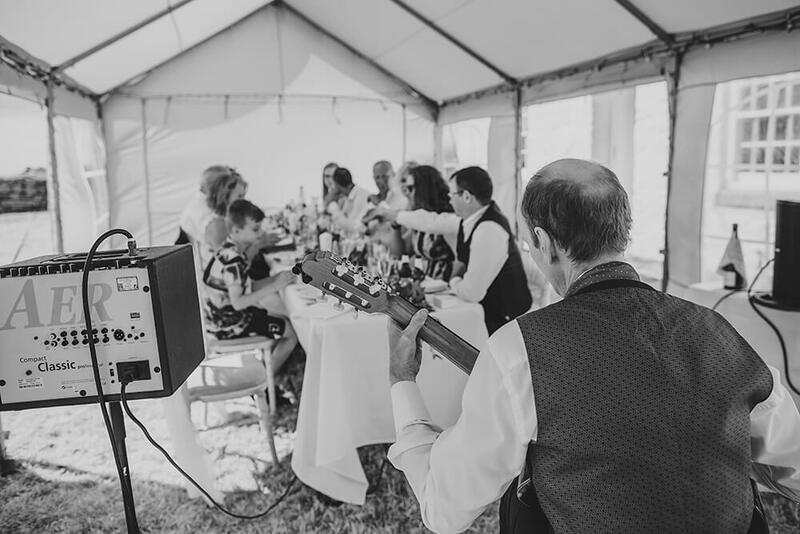 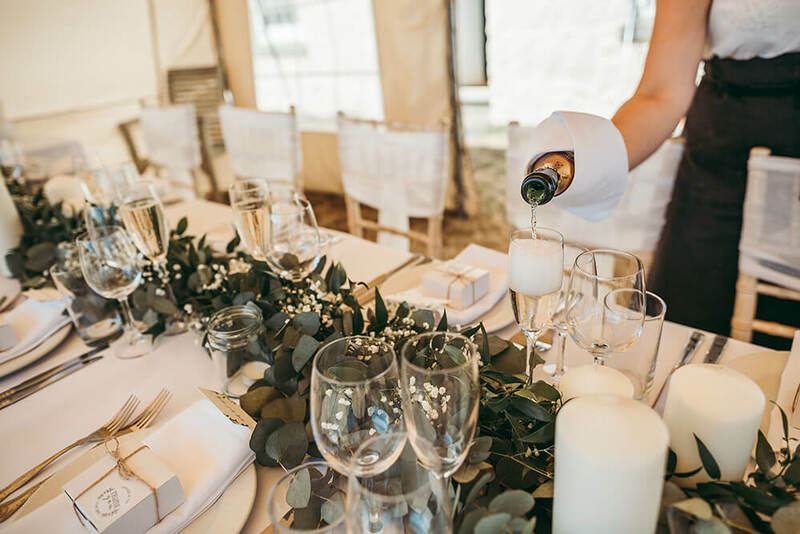 Later on the wedding party enjoyed a sit down wedding breakfast in the marquee, where a selection of platters were presented while an acoustic guitarist played in the background. 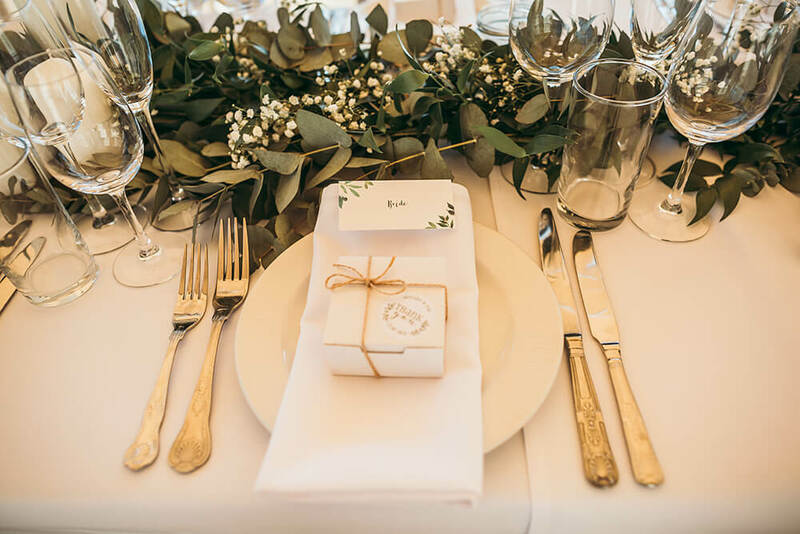 Their table was dressed by White Radish with white linen, silverware and church candles with a table runner of greenery and gypsophelia to match Georgina’s wedding flowers, provided by Twigs and Greens. 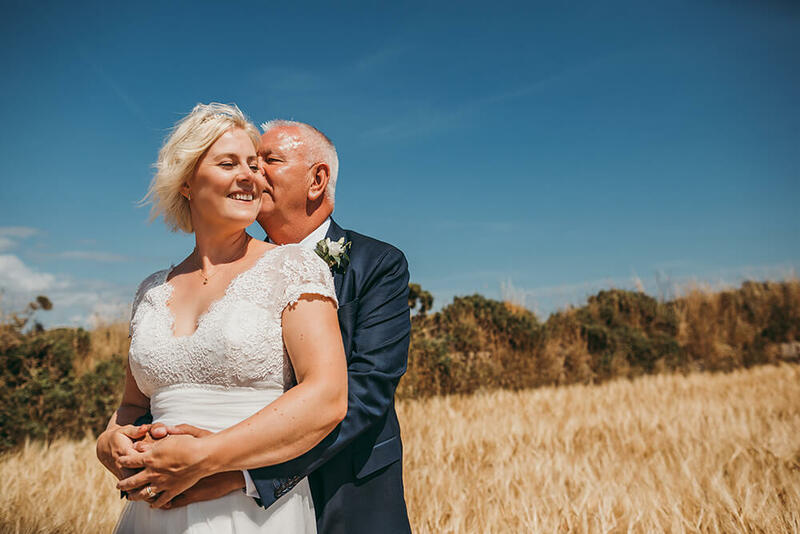 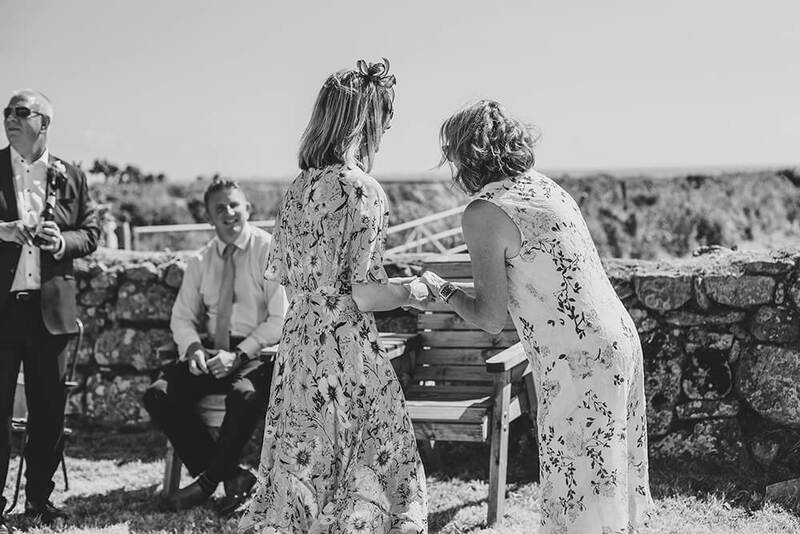 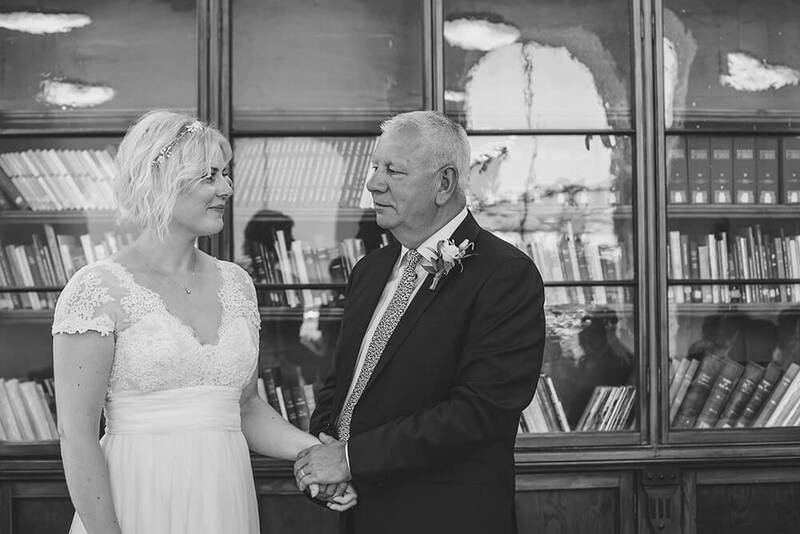 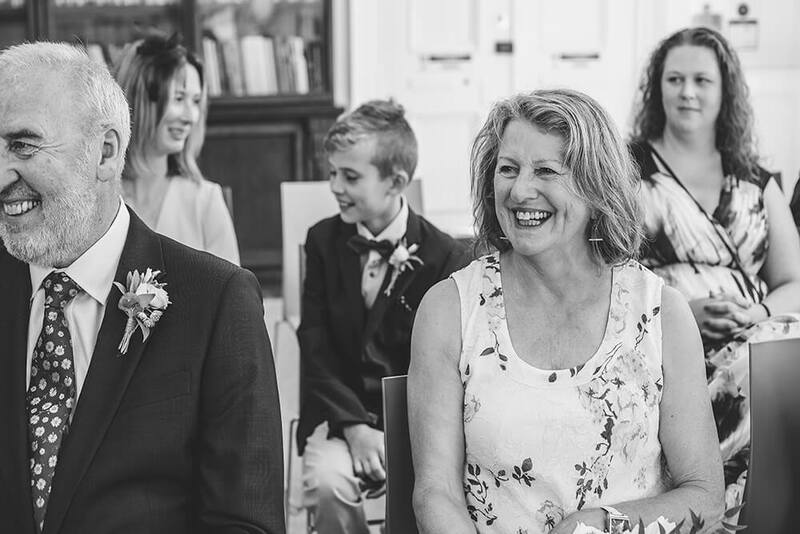 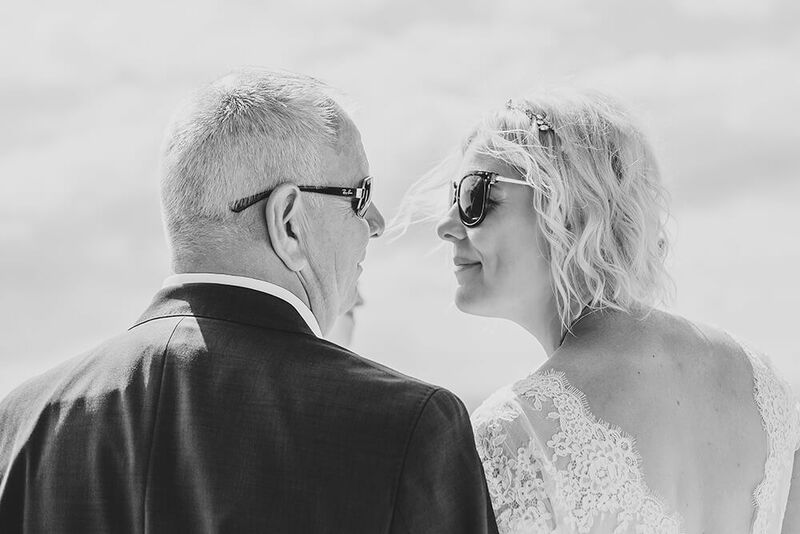 If you are getting married soon and are looking for a wedding photographer in Cornwall to capture your special day, please feel free to get in touch. 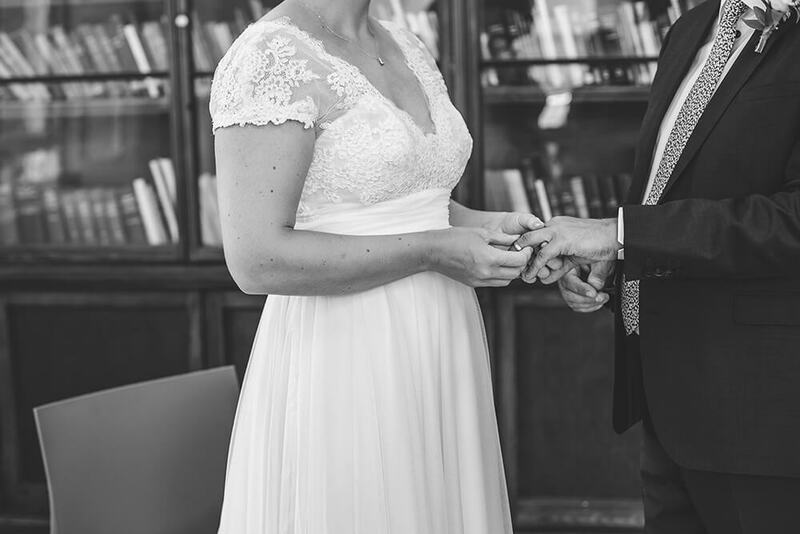 I would love to hear your wedding day plans!